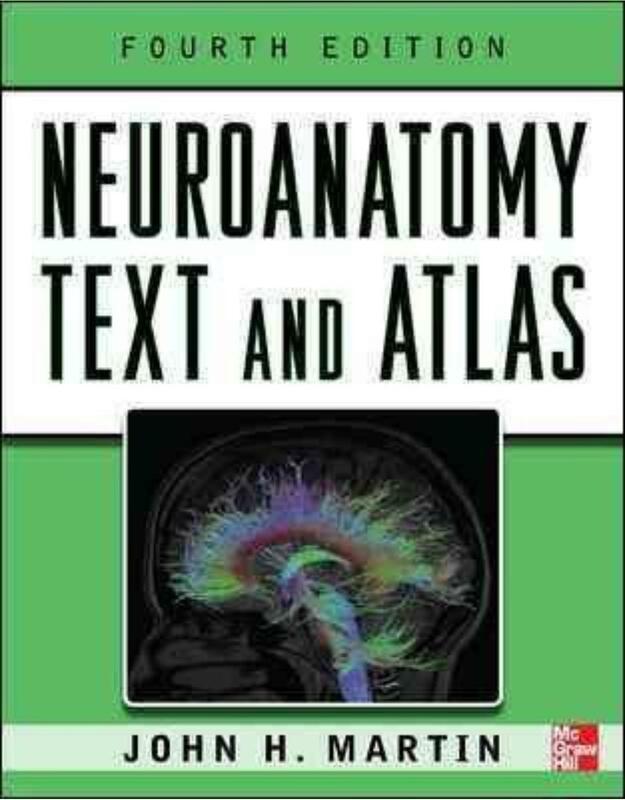 Neuroanatomy:Text and Atlas covers neuroanatomy from both a functional and regional perspective to provide an understanding of how the components of the central nervous system work together to sense the world around us, regulate body systems, and produce behavior. This trusted text thoroughly covers the sensory, motor, and integrative skills of the brains and presents an overview of the function in relation to structure and the locations of the major pathways and neuronal integrative regions. Neuroanatomy:Text and Atlas also teaches you how to interpret the new wealth of human brain images by developing an understanding of the anatomical localization of brain function. The authoritative core content of myelin-stained histological sections is enhanced by informative line illustrations, angiography, and brain views produced by MRI, and other imaging technologies. Thieme congratulates Todd Albert on being chosen by New York magazine for its prestigious Best Doctors 2017 list. From the authors of the bestselling Spine Surgery: Tricks of the Trade, here is the concise "how-to" guide on conducting diagnostic spine exams. 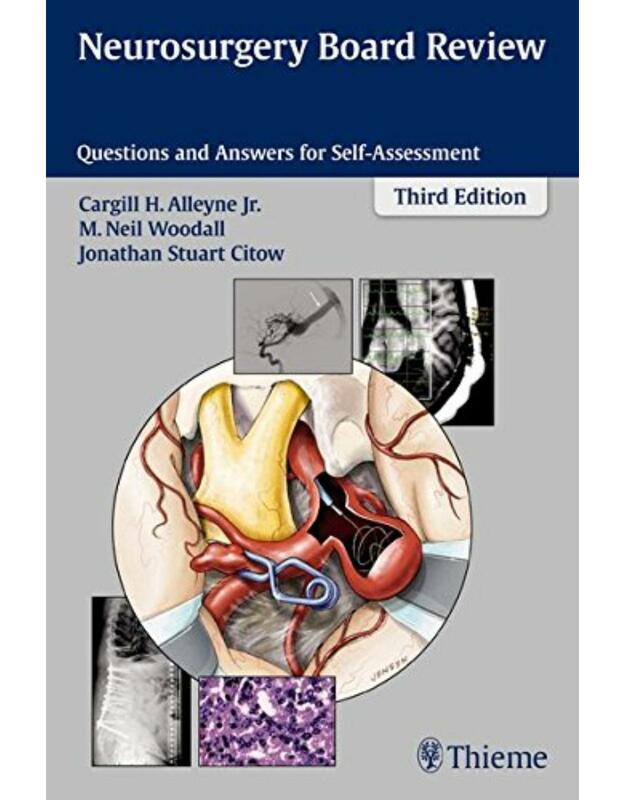 The text begins with a thorough review of the fundamentals, including basic anatomy and neurology, and goes on to systematically outline tests for the cervical, thoracic, and lumbar spine. It is an ideal resource for both beginners and practicing physicians. This straightforward pictorial aid is the perfect companion for spine surgeons, orthopedists, chiropractors, and neurosurgeons, as well as an ideal orientation for residents. From critical anatomy to step-by-step instructional guidelines, it will enhance your examination skills and refresh your understanding of the frequently performed spinal test. This handbook is aimed at first-line health care providers involved in the perioperative care of adult and pediatric neurosurgical patients. It is unique in its systematic focus on how to deal with common and important clinical challenges encountered in day-to-day practice in the OR, the PACU, and the ICU and is designed as a problem-solving tool for all members of the perioperative medicine team: trainees and faculty in anesthesiology, neurosurgery, and critical care; nurses; nurse anesthetists; and physician’s assistants. 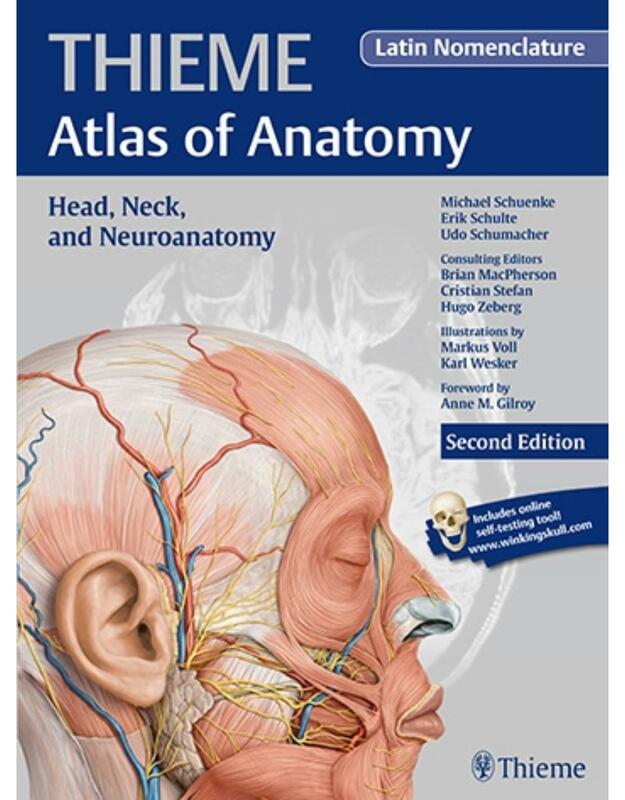 This second edition of volume 3, Latin Nomenclature, in the Thieme Atlas of Anatomy series now covers anatomy of the neck as well as anatomy of the head and neuroanatomy. It includes over 200 stunning new anatomic illustrations as well as a substantial number of additional clinical correlations. Descriptions of anatomic structures and their relationships to one another, along with information on the development of the structures, anomalies, and common pathologies, appear in every chapter. This atlas connects the basic science of anatomy to the clinical practice that students are embarking upon while taking anatomy courses. This atlas is an outstanding single-volume resource of information on the structure and function of specific areas of the brain. Updated to reflect the latest technology using 3 Tesla MR images, this edition has been enhanced with new functional MRI studies as well as a new section on diffusion tensor imaging with three-dimensional reconstructions of fiber tracts using color coding to demonstrate neural pathways. This book eliminates the need to sift through multiple books for the current information on the structure and function of the brain. It is invaluable for clinicians in radiology, neuroradiology, neurology, neurosurgery, psychiatry, psychology, neuropsychology, and neuroanatomy. The atlas is also ideal for medical students, nursing students, and individuals seeking to gain a firm understanding of human brain anatomy and function. Imaging plays an integral role in the diagnosis and intervention of debilitating, often fatal vascular diseases of the brain, such as ischemic and hemorrhagic stroke, aneurysms, and arteriovenous malformations (AVMs). 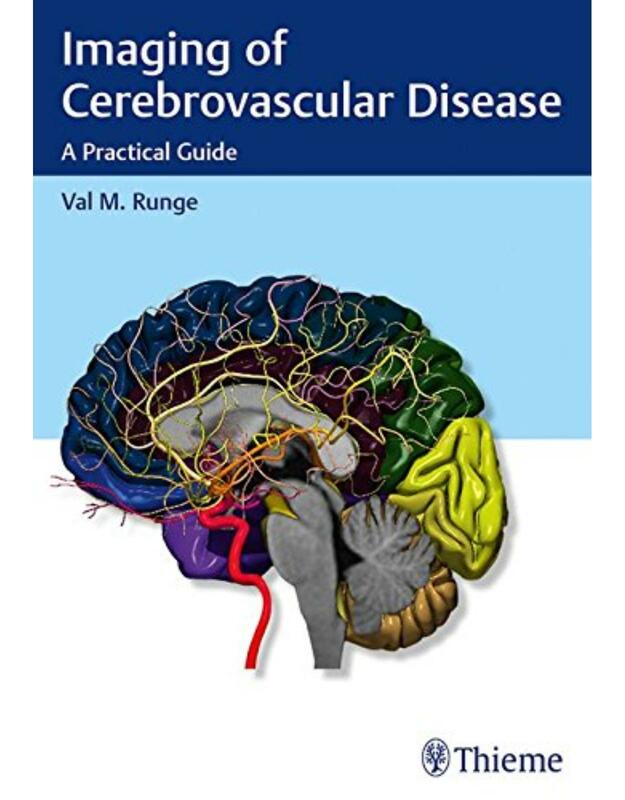 Written by a world renowned neuroradiologist and pioneer in the early adoption of magnetic resonance (MR) technology, Imaging of Cerebrovascular Disease is a concise yet remarkably thorough textbook that advances the reader's expertise on this subject. The text draws on the author's vast personal experience, case studies, and traditional educational sources, offering didactic dialogue with accompanying images. 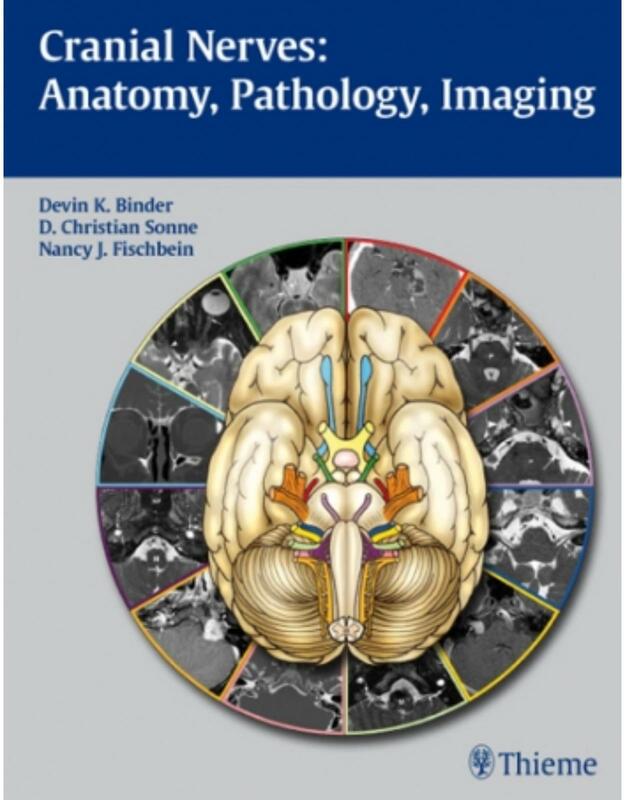 A practical clinical resource organized into six chapters, this book offers unparalleled breadth in delineating the diagnostic and treatment usages of modern imaging techniques. Chapter one sets a foundation with extensive coverage of modalities and their applications, including MR, computed tomography (CT) and digital subtraction angiography (DSA). Subsequent chapters cover utilization of imaging techniques specific to underlying pathologies. Presented in a style that facilitates cover-to-cover reading, this is an essential tool for residents and fellows, and provides a robust study guide prior to sitting for relevant certification exams. It is also a quick, invaluable reference for radiologists, neurosurgeons, and neurologists in the midst of a busy clinical day. This beautifully illustrated book combines a detailed exposition of the anatomy and function of the cranial nerves with practical coverage of clinical concepts for the assessment and differential diagnosis of cranial nerve dysfunction. An introductory chapter provides a brief overview of cranial nerve anatomy and function, skull base anatomy, classification of pathologies, and imaging approaches. Each of the twelve chapters that follow is devoted to in-depth coverage of a different cranial nerve. These chapters open with detailed discussion of the various functions of each nerve and normal anatomy. The authors then describe common lesions and present a series of cases that are complemented by CT images and MRIs to illustrate disease entities that result in cranial nerve dysfunction. 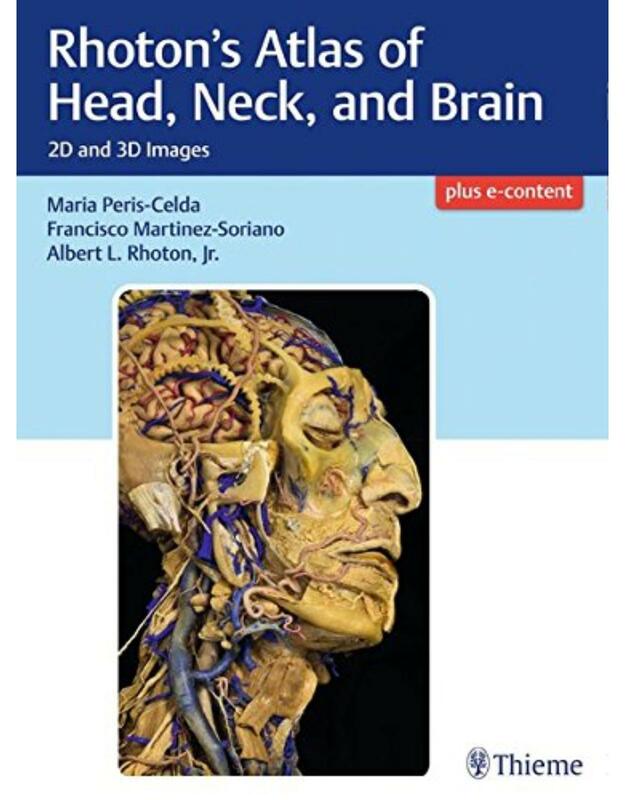 This book is an indispensable reference for practicing physicians and trainees in neurosurgery, neurology, neuroradiology, radiology, and otolaryngology-head and neck surgery. It will also serve as a valuable resource for students seeking to gain a solid understanding of the anatomy, function, and pathology of the cranial nerves. 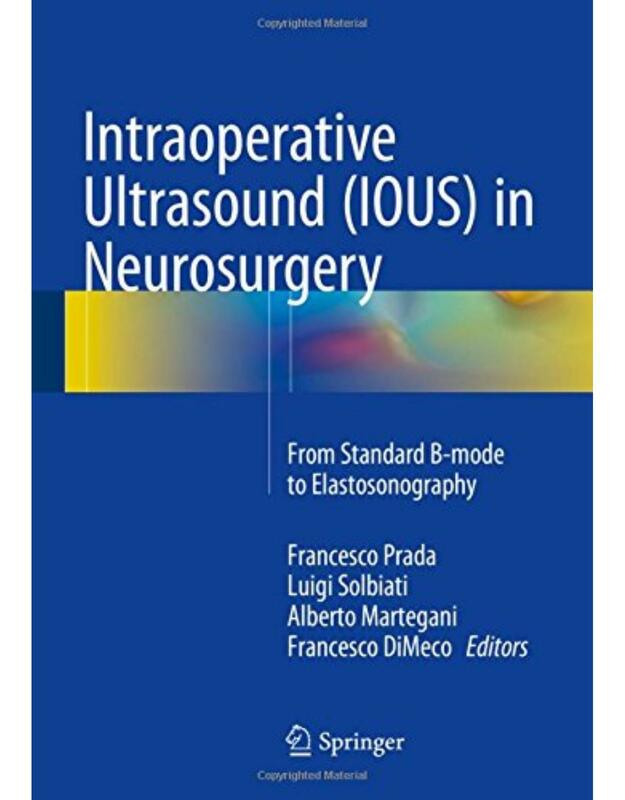 This book is intended as a practical manual on the use of intraoperative ultrasound (IOUS) as a tool for imaging guidance during cranial and spinal neurosurgical procedures. Full account is taken of the emergence of novel clinical applications and recent technical advances, with extensive coverage of the impact of developments such as improved probe technology, fusion imaging and virtual navigation, 3D ultrasound imaging, contrast-enhanced ultrasound, and elastosonography. Basic principles of ultrasound are elucidated in order to assist in the optimal use of IOUS and clear guidance is provided on the interpretation of imaging findings in various pathologies. Informative comparisons are also made of the use of techniques such as fusion imaging and contrast-enhanced ultrasound in general radiology and neurosurgery. The aim of the authors is to enhance the general knowledge regarding intra-operative ultrasound brain imaging, standardizing its use and exploring new techniques, leading in some way toward compensating the lack of specific training in the application of ultrasound among the neurosurgical community. IOUS is a sensitive tool that can improve surgical precision and help to reduce morbidity. Designed to evaluate candidates' expertise and provide direction for continued learning, the American Board of Neurological Surgery (ABNS) primary (written) examination is a required step to attaining board certification in the U.S. The rigorous exam requires substantial preparation. Each author brings unique qualifications to this publication from writing previous editions, to achieving the second highest exam score in the U.S. to the insights of a current chief resident. Their mission is to help readers comprehend the material and retain this knowledge, rather than solely striving for the highest score. This essential board prep review mirrors the exam's multiple-choice format and seven sections: neurosurgery, clinical neurology, neuroanatomy, neurobiology, neuropathology, neuroradiology, and clinical skills/critical care. 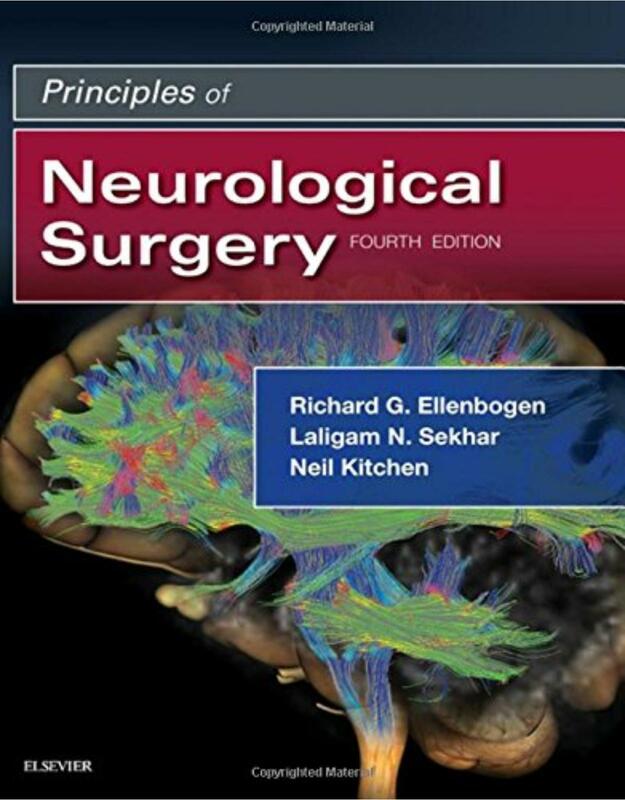 Presented in a new and improved layout, the third edition encompasses the numerous advances in neurosurgery since the 2004 edition was published. This invaluable board review will help neurosurgical residents prepare thoroughly for the primary ABNS exam. It is also beneficial for neuroscience residents specializing in neurology and neuropathology. Diffusion-weighted imaging (DWI) is an integral part of routine neuroimaging, used nearly universally in brain MRIs, and more recently for the spine, spinal cord, and head and neck. DWI provides clinically relevant information on conditions including stroke, infection, and neoplasms. Diffusion tensor imaging (DTI) is a powerful, newer technique with the potential for multiple protocols, including the diagnosis of mild traumatic brain injury and psychiatric disorders. 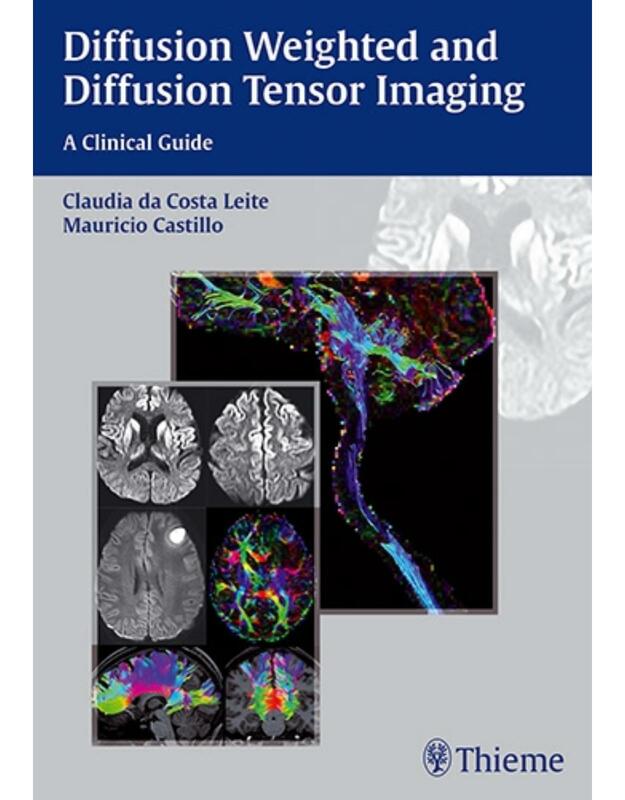 Written by leading authorities in neuroradiology and radiology, Diffusion Weighted and Diffusion Tensor Imaging: A Clinical Guide provides key points and summaries on the concepts and applications required for proper implementation and interpretation of DWI and DTI. This concise handbook is an invaluable resource for neuroradiologists and radiologists, as well as fellows and residents in these disciplines. With the expanding use of these procedures, neuroscientists, neurologists, neurosurgeons, and psychiatrists will also find it indispensable. Handbook of Spine Surgery, Second Edition, is a completely updated and comprehensive reference that distills the basic principles of contemporary spine surgery. Its coverage of both principles and techniques makes it an excellent refresher before surgery or a valuable daily companion for residents and surgeons caring for patients with spinal disorders. The second edition of this handbook is the go-to guide for all those involved in spine surgery. Decompression is still the mainstay of surgical intervention for neurosurgeons treating neurocritical care patients. However, during the last 20 years, an evolution away from a mechanistic approach has transformed neurocritical care into an increasingly multidisciplinary field. 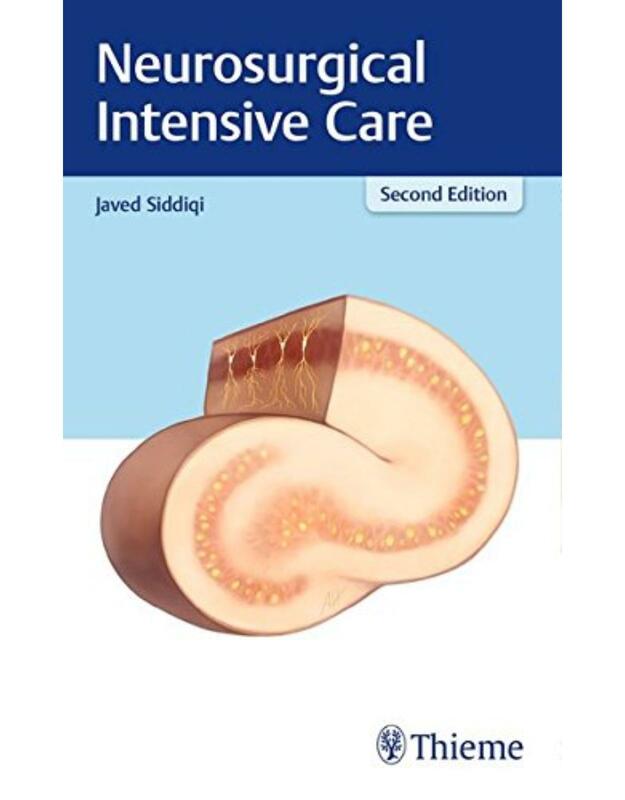 Neurosurgical Intensive Care, 2nd Edition reflects this new paradigm, authored by a neurosurgeon with contributions from experts in the fields of neurology, vascular neurology, interventional neuroradiology, anesthesiology, critical care, traumatology, nutrition, and advanced practice nursing. Neuromonitoring advances have enabled customized interventions tailored to each patient's unique circumstances. The critical care of neurosurgical patients has evolved from an emphasis on pulmonary care (ventilation and oxygenation) to a more nuanced understanding of cerebral protection measures required to manage a disrupted blood-brain-barrier. This edition encompasses advances in the use of ICP monitors, external ventricular devices, brain tissue oxygen monitoring devices, cerebral microdialysis, fluid and electrolyte correction, as well as the increasing use of continuous EEG in the ICU. Straightforward summaries for each stage of patient care including bedside exams, neuroimaging, lab work, triage procedures, sedation and pain management, neuropharmacology, nutritional needs, administration of fluids, and more. 159 tables and figures facilitate rapid evaluation and decision making. Clinical pearls on a wide range of ICU scenarios - from pathophysiology and management of coma - to interventions for spinal cord injury, multisystem injuries, acute ischemic stroke, and pediatric cases. This compact, highly practical handbook provides a stellar reference for managing critically ill neurosurgical patients in the ICU. It is a must-have resource for nurses, medical students, residents, fellows, and attending physicians who treat these patients. The third edition of this concise, essential spine handbook expands on the previous edition, reflecting recent advances in the field. Written by highly renowned spine surgeons, the new edition is presented in full color with the addition of several hundred exquisitely crafted illustrations. Portable but comprehensive, this book offers a well-rounded perspective on surgical and nonsurgical management of spine-related conditions and disease in adult and pediatric patients. In the opening chapters, a solid clinical foundation is laid - covering anatomy, physical examination, imaging and diagnostic testing, biomechanics of the spine, and instrumentation. Clinical information is summarized in an outline format, enabling readers to peruse broad topics in an expeditious manner. Chapters are categorically arranged, encompassing cervical, thoracic and lumbar spine pathologies. Within the framework of trauma, degenerative changes, congenital conditions, tumors, and infections - topics include spinal cord injury, thoracolumbar spine fractures; lumbar disk disease, stenosis, and spondylolisthesis; and spinal deformities in children and adults. Rounding out the volume are chapters on tumors, infections, and immune disorders that impact the spine such as rheumatoid arthritis and seronegative spondyloarthropathies. This handy resource is small enough to carry around during rounds and is particularly useful for orthopaedic surgeons and neurosurgeons in training. The reader-friendly format also makes it an excellent reference book for practicing spine surgeons and practitioners involved in the nonsurgical management of spine conditions. The concepts behind diffusion tensor imaging (DTI) are commonly difficult to grasp, even for magnetic resonance physicists. To make matters worse, a many more complex higher-order methods have been proposed over the last few years to overcome the now well-known deficiencies of DTI. In Introduction to Diffusion Tensor Imaging: And Higher Order Models, these concepts are explained through extensive use of illustrations rather than equations to help readers gain a more intuitive understanding of the inner workings of these techniques. Emphasis is placed on the interpretation of DTI images and tractography results, the design of experiments, and the types of application studies that can be undertaken. Diffusion MRI is a very active field of research, and theories and techniques are constantly evolving. 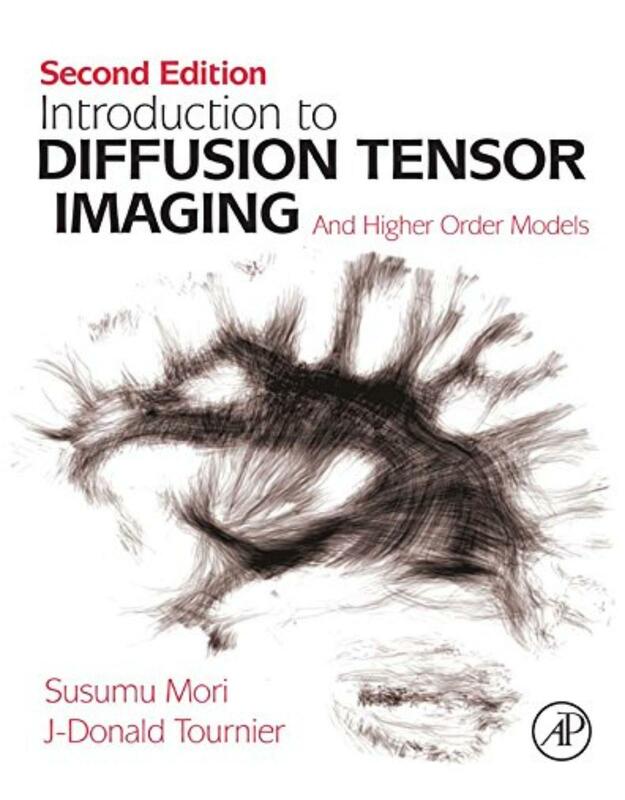 To make sense of this constantly shifting landscape, there is a need for a textbook that explains the concepts behind how these techniques work in a way that is easy and intuitive to understand―Introduction to Diffusion Tensor Imaging fills this gap. 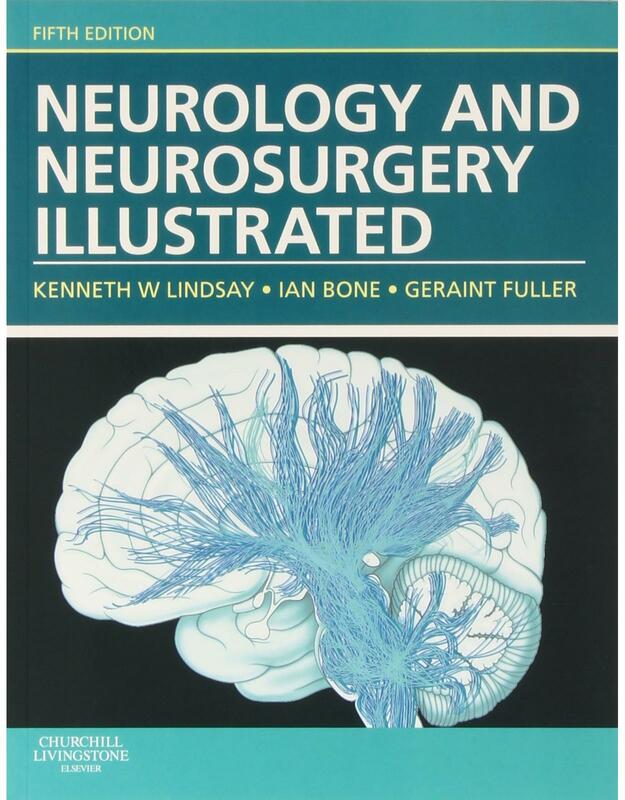 An outstanding backpack reference for day-to-day neurosurgical practice Now in an updated eighth edition, the Handbook of Neurosurgery has enjoyed legendary status on the bookshelf of every neurosurgery department for over a quarter of a century. Renowned for its scope and accessibility, the portable, single-volume guide is an invaluable resource for anyone involved in the care of patients with disorders of the central nervous system  neurosurgical residents, nurses, neurologists, and allied healthcare practitioners. This classic handbook covers the full depth and breadth of the complex field of neurosurgery  including inherited and acquired neurological disorders, developmental anomalies, and more esoteric topics such as toxins that impact the central nervous system. The text also covers conditions treated primarily by neurologists that may come to the attention of a neurosurgical care provider such as Parkinsonism, multiple sclerosis, motor neuron diseases, and dementia. The latest information is provided on anatomy and physiology, differential diagnosis, and current principles of nonsurgical and surgical management covering the full age continuum  from pediatric to geriatric conditions. Key Features: · Expanded four-color graphics and illustrations · Packed with more than 1,600 pages of practical information, including thousands of literature citations, handy cross-references, and a comprehensive index · Fundamentals of neurocritical care, with a comprehensive overview of conditions  from SAH to head and spine trauma  and complications such as rebleeding, vasospasm, cerebral salt wasting, and brain death Comprehensive and conveniently compact, this is a must-have daily reference, a perfect study companion for board exams, as well as ideal for maintenance of certification preparation. It is certain to be a treasured tome for legions of new neurosurgery residents and an essential tool for anyone working in the clinical neurosciences. Written by an esteemed educator and founder of the renowned Chicago Review Course in Neurological Surgery™, this updated review reflects substantive content additions to the 8th edition. 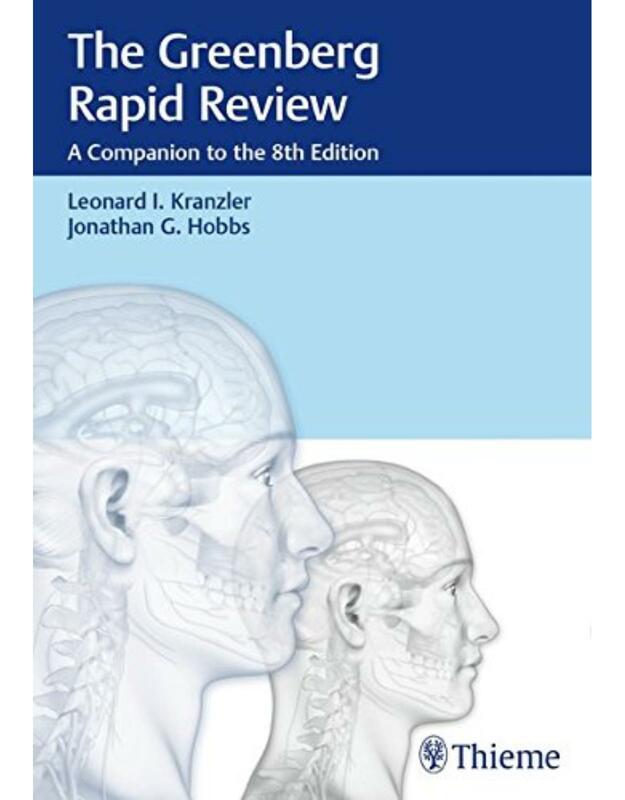 The two prior editions of the Rapid Review were must-have companions that fully leveraged the vast knowledge contained within Greenberg's legendary tome. Through repetition and spot-on questions, this book brings clarity to a specialty whose sheer depth and breadth presents comprehension and retention challenges. This book helps readers determine if they are retaining key data and information, thereby providing a robust self-assessment study tool for ABNS certification. 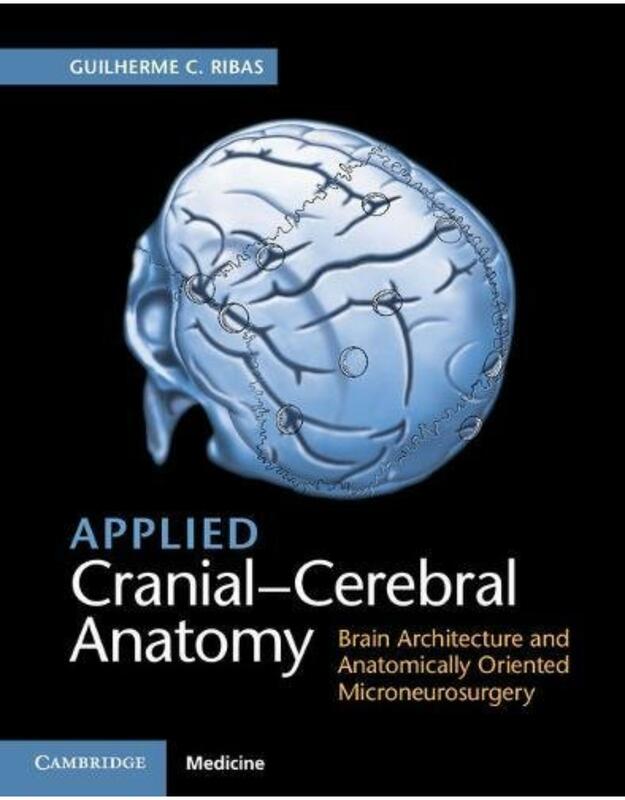 This book is designed to help neurosurgical residents prepare for the ABNS primary examination and/or rounds. It will enable practicing neurosurgeons, neurologists, neuroradiologists, and neuropathologists to develop a storehouse of knowledge required to efficaciously examine, analyze, diagnose, and treat neurosurgical patients. Stresses the understanding of the anatomy rather than the performance of the procedure. 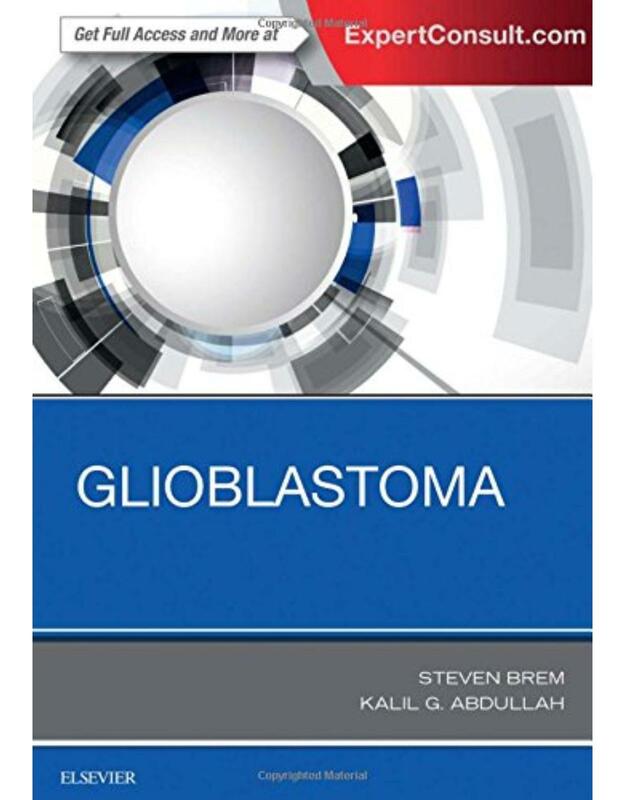 Clinically focused and designed to provide a to-the-point overview, Glioblastoma , by Drs. Steven Brem and Kalil G. Abdullah, brings you up to date with increased understanding, new treatment protocols, and recent advances in the field. Written by contributing specialists who are global experts in their respective areas, this one-stop reference provides neurosurgeons, medical-and-radiation oncologists, neuro-oncologists, neuropathologists, internal medicine physicians, and researchers with a dependable source of information on current treatment options, tumor recurrence, and patient care. 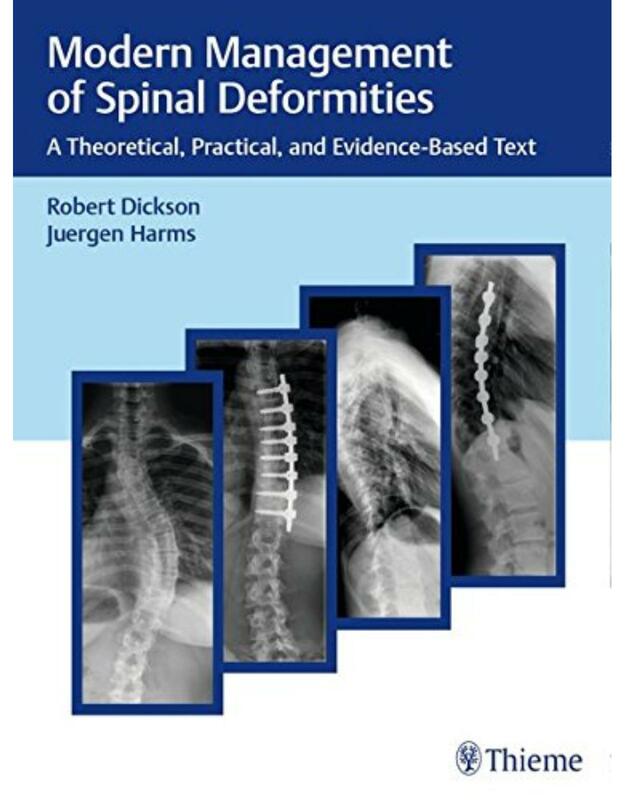 Spinal Deformities: The Essentials, Second Edition presents a detailed overview of current key principles and practices involved in the diagnosis and treatment of patients with spinal deformities. Each chapter of this introductory text begins with The Essentials, a bulleted list that summarizes the most important concepts presented, providing busy surgeons, residents, and fellows with a quick refresher before surgery. 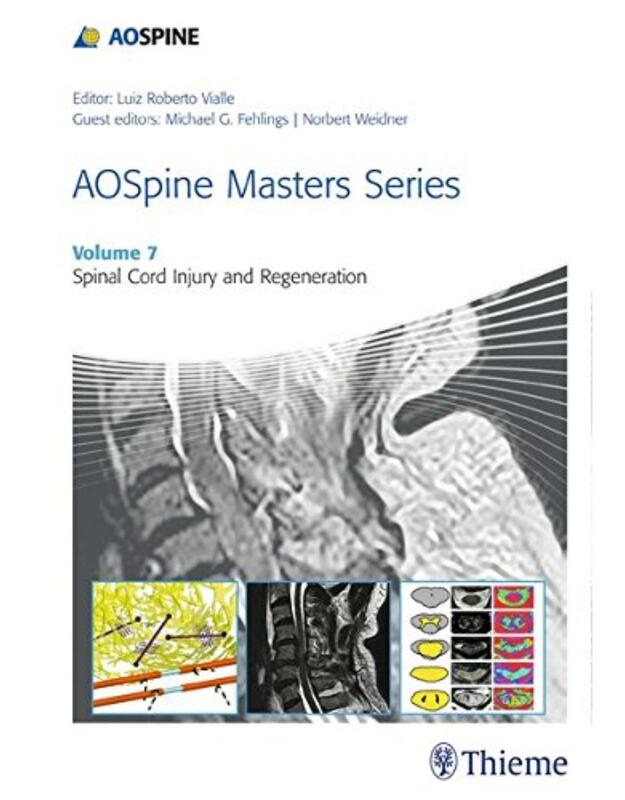 Key Features of the second edition: Seven new chapters: Measuring Value in Spinal Deformity Care; Intraoperative Neuromonitoring in Spinal Deformity Surgery; Anatomy with an Emphasis on Alignment; The Importance of the Sacrum and Pelvis in Deformity Evaluation and Treatment; Early Onset Scoliosis; Lateral Interbody Fusion Approaches in Spinal Deformity; and Minimally Invasive Surgery (MIS) for Adult Deformities All chapters cover classification, patient evaluation, radiographic assessment, indication, treatment options, and complications Straightforward explanations of the basic as well as the latest advanced modalities and surgical strategies Written by leading experts in spine surgery, this text will be an invaluable reference for all orthopedic surgeons, neurosurgeons, residents, and fellows involved in the care of patients with spinal deformities. 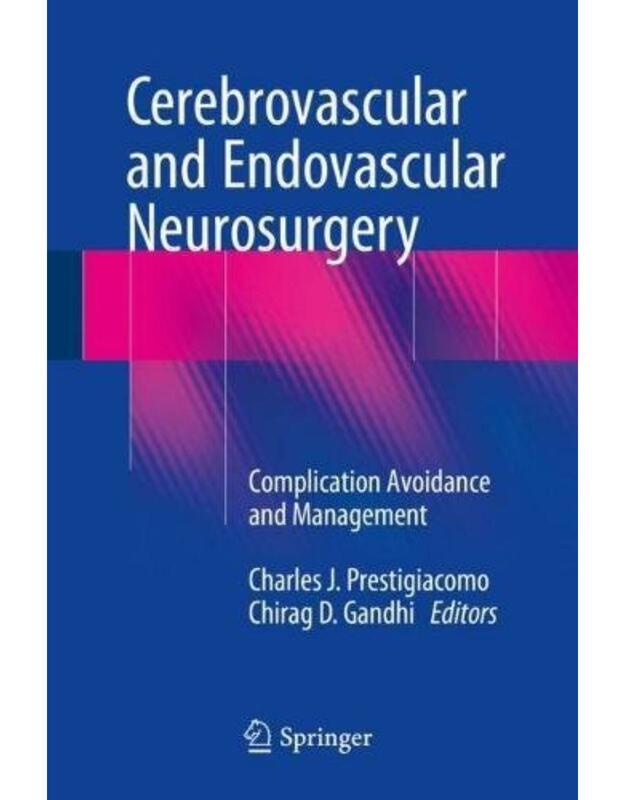 This book is an up-to-date, well-referenced practical resource that offers detailed guidance on the avoidance and management of complications in patients treated for cerebrovascular and spinal vascular disease. All complication avoidance and management techniques currently available to the endovascular/cerebrovascular surgeon are reviewed by pioneers and leaders in the field to provide the clinician with an advanced single point of reference on the subject. The book is divided into four sections. It opens by discussing general issues, such as definition of complications, medicolegal aspects, the role of resident training, and checklists. The subsequent three sections address the avoidance and management of complications when performing surgical, endovascular, and radiosurgical procedures, covering the full ran ge of indications and potential adverse events. All chapters have a standardized format, simplifying the search for information on a specific disease process. Numerous intraoperative images are included, and, when appropriate, algorithms for the avoidance, early recognition, and management of complications are presented. Each chapter concludes with a checklist of preparatory steps and emergency procedures that each member of the team must perform in order to ensure the best possible outcomes. Spinal cord injury (SCI) is a devastating, clinically challenging injury, leading to varying degrees of neurological function impairment and paralysis. Underlying biological mechanisms either inhibit or promote new growth in the spinal cord. Researchers have been making important discoveries about how neurons and their axons grow in the central nervous system and why they fail to regenerate after SCI. Although progress has been steady, there remains an urgent need to address issues in acute management such as early decompression and the use of biologics, as well as potential solutions for regeneration. This essential textbook delivers invaluable insights to spine surgeons, spinal cord injury clinicians and researchers and trainees, from translational researchers to experienced researchers and clinicians experienced in the operative and non-operative management of spinal cord injury. 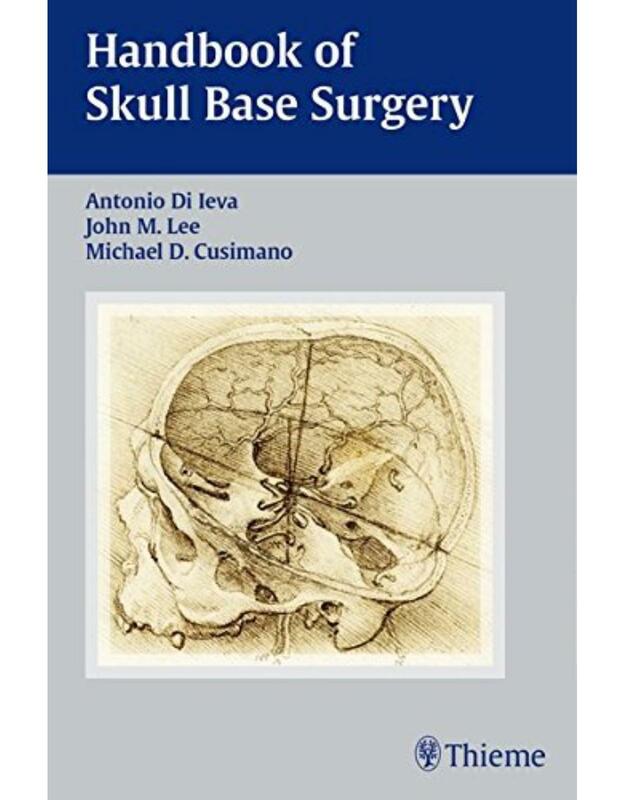 Handbook of Skull Base Surgery is a state-of-the-art surgical guide that provides clinicians and surgeons with step-by-step instructions on how to perform microscopic and endoscopic procedures. Encompassing the entire skull base, this handbook is designed for busy residents and clinicians seeking to hone their surgical skills. It presents a multidisciplinary approach to the pathologies, diagnosis, and management of skull base lesions. Comprehensive yet conveniently compact, this book is a must-have reference for residents, clinicians, nurses and researchers caring for patients with skull base pathologies. 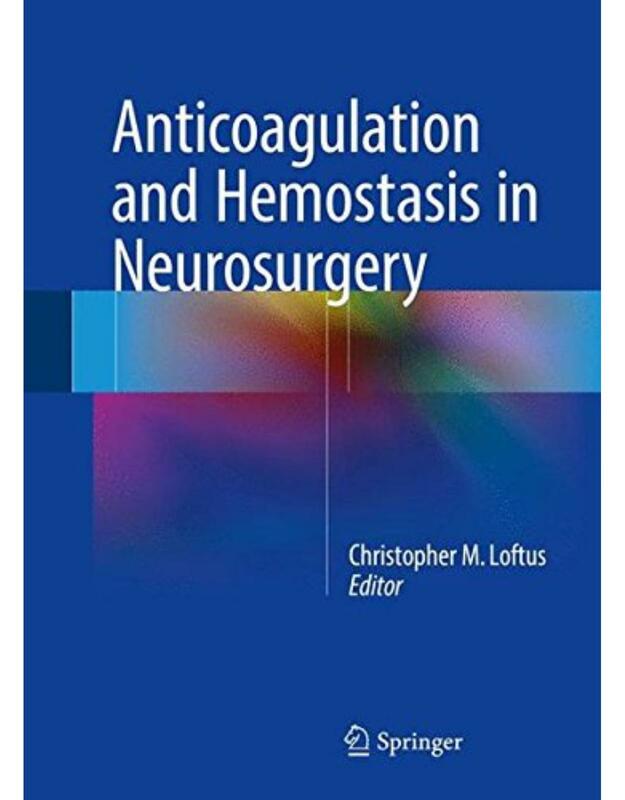 ​This book is an up-to-date reference on all aspects of anticoagulation and hemostasis in neurosurgery. After an opening section on basic principles and drug classes in current use, detailed consideration is given to coagulation issues relevant to all patients, not just neurosurgical ones. The coverage includes, for example, deep vein thrombosis, pulmonary embolism, and disseminated intravascular coagulation. A variety of important issues specific to neurosurgical practice are then addressed, and a summary of current guidelines and best practices is provided. By bringing together the latest knowledge from across the discipline, this book will serve as a sound basis for informed decision making in surgical practice. It will be of daily value for neurosurgeons and trainees worldwide and will also be of interest to emergency room physicians, surgeons in general, critical care physicians, neurologists, and hospital medicine specialists. From detachable balloons and GDC coils to the recent advent of flow diversion, practitioners of have endovascular neurosurgery been fortunate to work in an era of rapid and exciting advances. The first commercially available flow diverter in the U.S. was approved specifically for a small subset of cerebral aneurysms. Recent experience has demonstrated its utility in treating challenging or otherwise untreatable aneurysms, safely and efficaciously. The design of these devices requires learning radically different methods than those used in the deployment of other, non-braided stents. Flow Diversion of Cerebral Aneurysms by Min Park, Philipp Taussky, Felipe Albuquerque, and Cameron McDougall provides step-by-step guidance on utilization of flow diversion technology in clinical practice. Reflecting the combined experience and knowledge of pioneers in neurointerventional surgery, this comprehensive book fills a gap in available resources. Twenty-one chapters cover fundamentals to advanced concepts - historical perspective to future developments. The ultimate goal of incorporating cutting-edge flow diversion techniques into the aneurysm treatment paradigm is improved efficacy and patient outcome. The knowledge gleaned from this outstanding resource will help residents and fellows learn to deploy flow diverters for the first time and enable seasoned clinicians to expand their neurointerventional radiology skills. 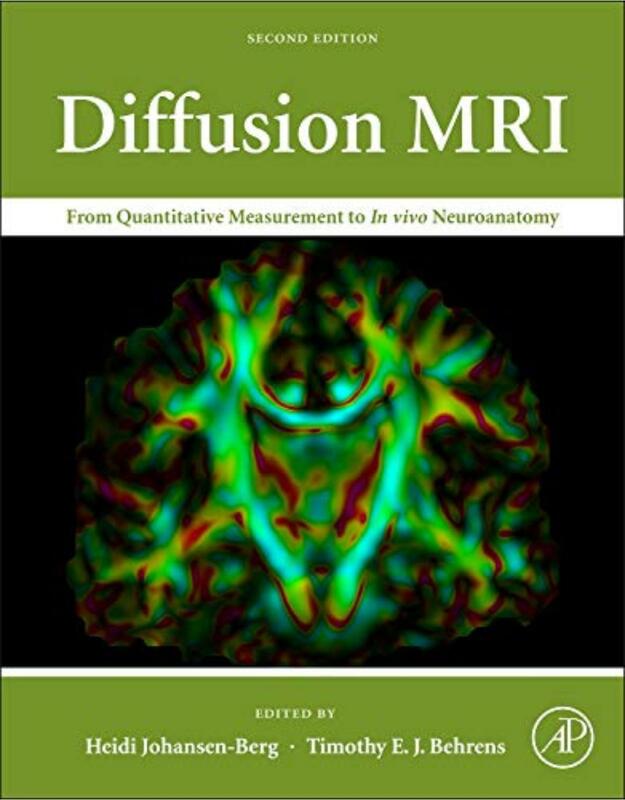 Diffusion MRI remains the most comprehensive reference for understanding this rapidly evolving and powerful technology and is an essential handbook for designing, analyzing, and interpreting diffusion MR experiments. Diffusion imaging provides a unique window on human brain anatomy. This non-invasive technique continues to grow in popularity as a way to study brain pathways that could never before be investigated in vivo. This book covers the fundamental theory of diffusion imaging, discusses its most promising applications to basic and clinical neuroscience, and introduces cutting-edge methodological developments that will shape the field in coming years. Written by leading experts in the field, it places the exciting new results emerging from diffusion imaging in the context of classical anatomical techniques to show where diffusion studies might offer unique insights and where potential limitations lie. Skull base anatomy is extremely complex, with vital neurovascular structures passing through multiple channels and foramina. Brain tumors such as pituitary tumors, acoustic neuromas, and meningiomas are challenging to treat due to their close proximity to cranial nerves and blood vessels in the brain, neck, and spinal cord. Medical imaging is an essential tool for identifying lesions and critical adjacent structures. Detecting and precisely mapping out the extent of disease is imperative for appropriate and optimal treatment planning and ultimately patient outcome. 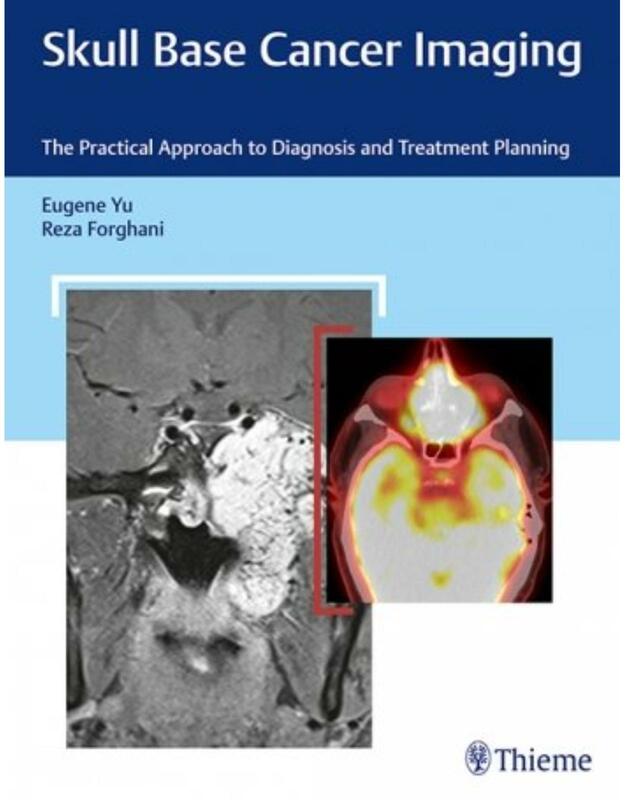 Eugene Yu and Reza Forghani have produced an exceptional, imaging-focused guide on various neoplastic diseases affecting the skull base, with contributions from a Who's Who of prominent radiologists, head and neck surgeons, neurosurgeons, and radiation oncologists. 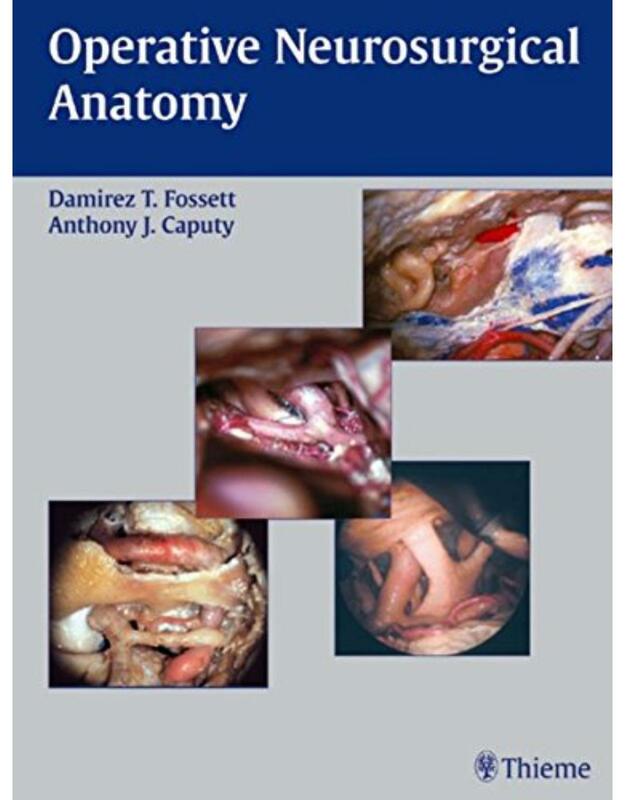 The content is presented in a clear and concise fashion with chapters organized anatomically. From the Anterior Cranial Fossa, Nasal Cavity, and Paranasal Sinuses - to the Petroclival and Lateral Skull Base, an overview and detailed analysis is provided for each region. This invaluable resource chronicles current knowledge in state-of-the-art skull base tumor imaging with clinical pearls on pathophysiology, prognosis, and treatment options. It is a must-have for radiology, neurosurgery, and otolaryngology residents and clinicians who care for patients with head and neck neoplasms. Honorable Mention at 2015 PROSE Awards! In this book, Dr. Michael Lawton shares his expertise and lessons learned from his years of dedication to vascular neurosurgery. He describes his take on AVMs in the preface as a battle and his book contains many take-home lessons. His presentation is enhanced by the spectacular intraoperative color images and illustrations drawn by Kenneth X. Probst. With no reservations, I highly recommend this book to all neurosurgeons. -- Doody's Enterprises, Inc. 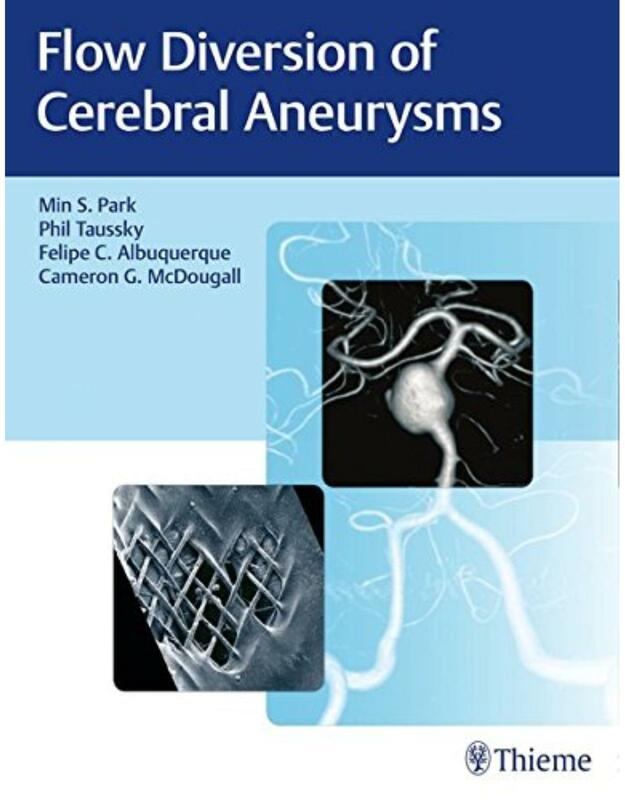 This sequel to Dr. Lawton's best-selling Seven Aneurysms focuses on microsurgical resection techniques for AVMs found in the lobes and deep regions of the brain. It categorizes the techniques into subtypes to simplify the broad spectrum of brain AVMs neurosurgeons may encounter. 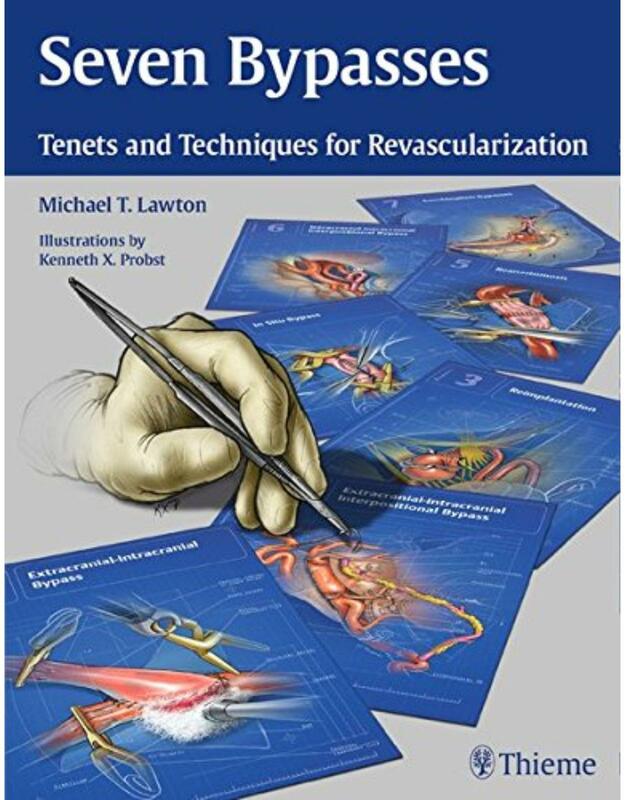 The book is organized into three sections: The Tenets, which establishes eight steps for AVM resection; The Seven Arteriovenous Malformations, which describes the anatomical terrain and surgical strategies for thirty-two AVM subtypes; and The Selection section, in which Dr. Lawton discusses what he believes to be the keys to successful AVM surgery: good patient selection and best application of multiple treatment modalities. Illustrates a stepwise process for AVM resection using strategic "battle plans"
Summarizing the common AVMs encountered in practice, neurosurgeons and neurosurgical residents will find this hybrid atlas-text to be an essential part of their armamentarium. Developed and written by top international experts in the field, this lucid new work is a comprehensive yet concise manual for reviewing the basics of peripheral nerve anatomy, pathophysiology, all typical and classic lesions, and the appropriate diagnostics. The chapters culminate in a description of the complex step-by-step surgical repair of these lesions. Succinctly written, the manual covers a range of topics normally only seen in larger works: included are the various plexus systems and associated injuries, facial nerve surgery, compression neuropathies and tumors, gunshot wounds, pain management, and much more. The Manual of Peripheral Nerve Surgery: From the Basics to Complex Procedures is certain to become a much-used reference resource for residents and practicing surgeons alike. The development and refinement of neuroendoscopy has been driven by the persistent desire of neurosurgeons to advance the field and offer less invasive, more efficacious options to patients. This remarkable multimedia book reflects the technological advances achieved in the last two decades in fiber optics, cold light, cameras, and endoscopic instrumentation. Written by an impressive Whos Who of international neurosurgeons, the outstanding text and videos reflect global contributions to neuroendoscopy. Current indications for intracranial and intraventricular endoscopy are described in depth, through detailed chapters, stellar videos, professional animations, and exquisite illustrations. The authors share their clinical expertise on procedures ranging from endoscopic third ventriculostomy to transventricular approach of the fourth ventricle. Cover to cover, this book details the differences, alternatives, advantages, and limitations of the flexible neuroendoscope. This hands-on learning tool will enable neurosurgeons to perform endoscopy of the ventricles and basal cisterns for exploratory purposes and conditions such as hydrocephalus, congenital aqueductal stenosis, tumors, hypothalamic hamartoma, arachnoid cysts, and neurocysticercosis. Additional topics include endoscopic-assisted microvascular decompression and aneurysm surgery, fluorescence, complications, anesthesia, utilization in developing countries, and future trends. Key Features: · Comprehensive multimedia reference with online access to 50 superb videos · More than 300 meticulously drawn illustrations · Beautifully illustrated anatomical chapters that facilitate in-depth understanding of endoscopic anatomy · An entire chapter devoted to flexible neuroendoscopy · Indications, preoperative preparation, procedure description, intraoperative complications and their management ("risk and rescue" techniques), expert pearls, postoperative management, and outcomes This volume is a must-have resource for neurosurgery and neurology residents, neurosurgeons, pediatric neurosurgeons, and all physicians involved in the care of patients with intracranial and intraventricular disease. In the last two decades, spine instrumentation and surgery have undergone many improvements. 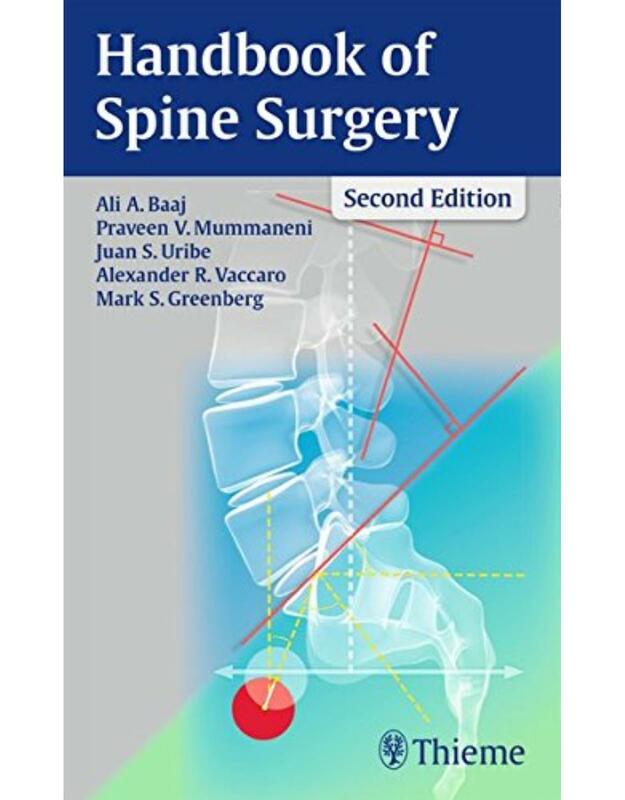 The second edition benefits from contributions by renowned orthopaedic surgeons and neurosurgeons who helped create and refine the systems described in the book, and devoted their careers to educating next generations of spine surgeons. Advancements in instrumentation - plates, cages, rods, screws, disc replacements, spacers, and fusion devices - have led to improved outcomes for patients. The spinal device field has grown exponentially, and surgeons are faced with an increasingly diverse choice of instrumentation options. While the first edition categorized available systems, the new edition is focused on helping clinicians avoid complications and quickly recognize and manage complications when they do occur. This up-to-date book will help orthopaedic surgeons and neurosurgeons learn how to utilize spinal devices more efficaciously and safely. 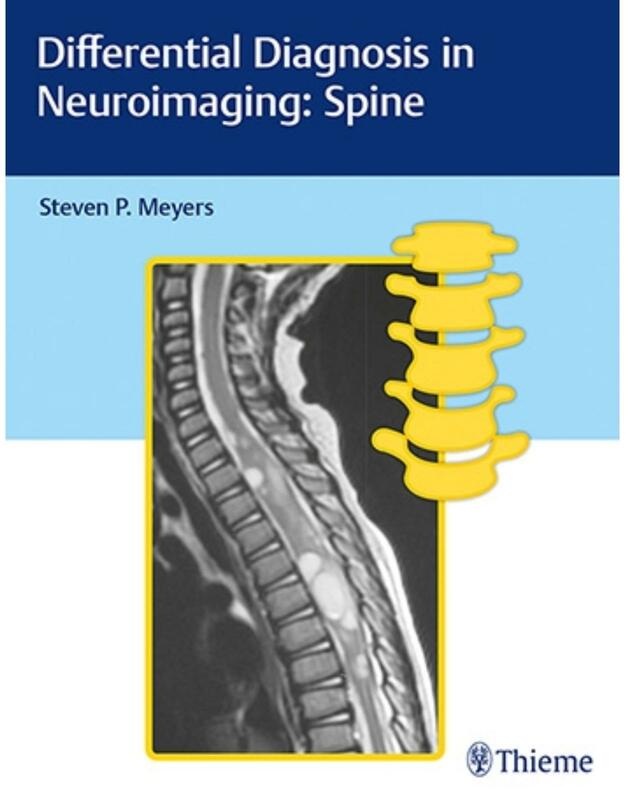 The text is also an excellent reference for radiologists, spine fellows and residents, and physician extenders who are interested in attaining knowledge and experience in spinal instrumentation. 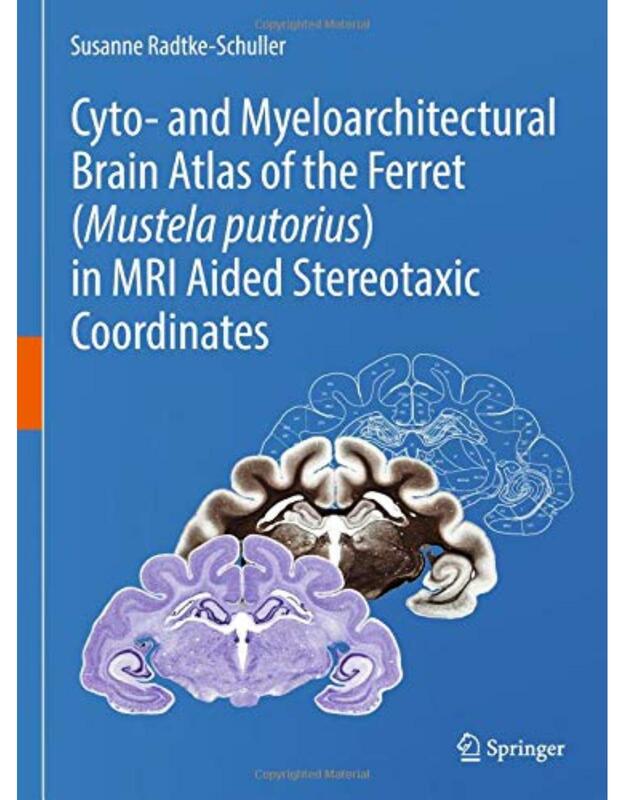 This stereotaxic atlas of the ferret brain provides detailed architectonic subdivisions of the cortical and subcortical areas in the ferret brain using high-quality histological material stained for cells and myelin together with in vivo magnetic resonance (MR) images of the same animal. The skull-related position of the ferret brain was established according to in vivo MRI and additional CT measurements of the skull. Functional denotations from published physiology and connectivity studies are mapped onto the atlas sections and onto the brain surface, together with the architectonic subdivisions. High-resolution MR images are provided at levels of the corresponding histology atlas plates with labels of the respective brain structures. The book is the first atlas of the ferret brain and the most detailed brain atlas of a carnivore available to date. It provides a common reference base to collect and compare data from any kind of research in the ferret brain. Provides the first ferret brain atlas with detailed delineations of cortical and subcortical areas in frontal plane. Provides the most detailed brain atlas of a carnivore to date. Presents a stereotaxic atlas coordinate system derived from high-quality histological material and in vivo magnetic resonance (MR) images of the same animal. Covers the ferret brain from forebrain to spinal cord at intervals of 0.6 mm on 58 anterior-posterior levels with 5 plates each. Presents cell (Nissl) stained frontal sections (plate 1) and myelin stained sections (plate 2) in a stereotaxic frame. Provides detailed delineations of brain structures and their denomination on a Nissl stained background on a separate plate (3). Compiles abbreviations on plate 4, a plate that also displays the low resolution MRI of the atlas brain with the outlines of the Nissl sections in overlay. Displays high-resolution MR images at intervals of 0.15 mm from another animal with labeled brain structures as plate 5 corresponding to the anterior-posterior level of each atlas plate. Provides detailed references used for delineation of brain areas. The book addresses researchers and students in neurosciences who are interested in brain anatomy in general (e.g., for translational purposes/comparative aspects), particularly those who study the ferret as important animal model of growing interest in neurosciences. 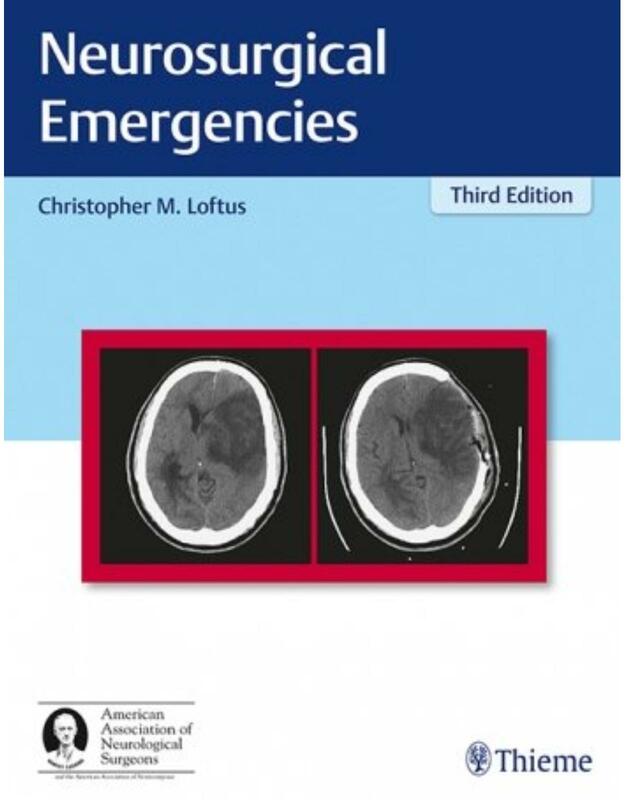 The third edition of this acclaimed book covers frequently encountered neurosurgical emergencies, with contributions from renowned experts in their respective subspecialties. Clinical insights and easy-to-follow protocols are presented for emergencies associated with disease, infection, and trauma - and complications such as status epilepticus and acute shunt malfunction. Injury classification, evaluation, clinical presentation, imaging, surgical indications, approaches, and prognosis are presented for each condition. Concise, evidence-based descriptions enable readers to rapidly gain a solid understanding of the pathogenesis of each problem. The authors retained the scope and content of previous editions and added six new chapters that reflect recent advances. These include novel invasive brain monitoring techniques and their relevance to clinical practice, emergency surgery for stroke, emergency endovascular stroke treatment, cerebral venous thrombosis, consideration of cervical stenosis as an emergency, and emergent presentation and management of spinal dural arteriovenous fistulas and vascular lesions. This stellar resource is a must-have for practicing neurosurgeons and emergency medicine specialists. It will also greatly benefit residents and fellows in these fields of medicine. The successful evaluation and treatment of the orbital region-subject to a wide range of diseases affecting multiple organ systems-entails the knowledge and expertise of a multidisciplinary team of specialists. 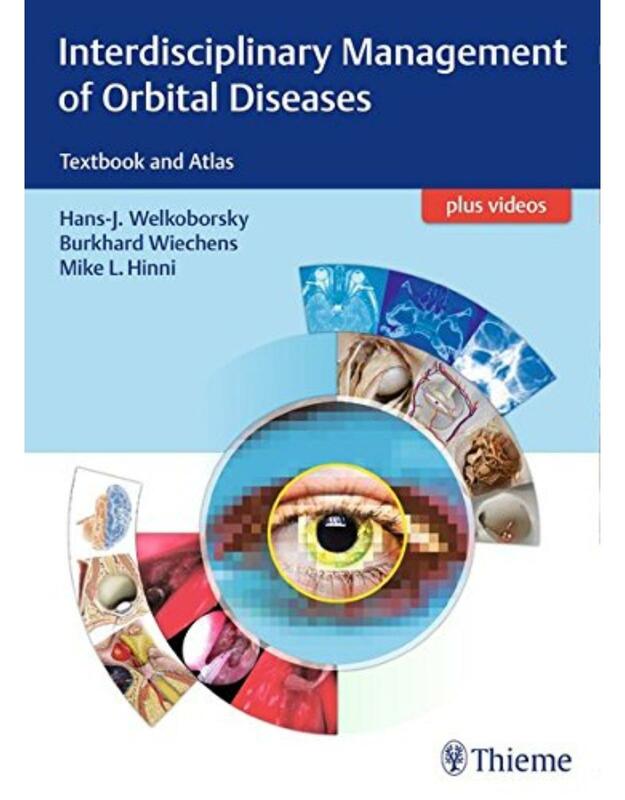 Interdisciplinary Management of Orbital Diseases: Textbook and Atlas brings this team together to offer comprehensive and authoritative discussion of all diseases of the orbital region, with descriptions of topographic and surgical anatomy, pathology, diagnostic steps, imaging, conservative treatment measures, operative approaches, radiotherapy, and orbital reconstruction. Readers will find key information for diagnosing conditions early and achieving maximum therapeutic and aesthetic results. Interdisciplinary Management of Orbital Diseases: Textbook and Atlas is an important addition to the armamentarium of otolaryngologists, craniomaxillofacial surgeons, ophthalmologists, and neurosurgeons. Clinicians at all levels, and residents and fellows, will gain the interdisciplinary perspective crucial for handling the complexities of the orbital region. An updated edition of the most comprehensive guide to spine radiosurgeryAn updated edition of the most comprehensive guide to spine radiosurgery Spine Radiosurgery, Second Edition , is a comprehensive text that includes discussions of the latest devices, treatment planning techniques, target definition, and patient selection in this specialty. Written by leading experts in the fields of neurosurgery, radiation oncology, and medical physics, this book is the definitive reference for clinical applications of state-of-the-art radiosurgery of the spine. Key Features: Six new chapters on such topics as histopathological examination of spinal lesions, minimally invasive techniques, and treatment of spinal chordomas More than 100 full-color illustrations demonstrate key concepts Discussion of new treatments for metastatic spine disease and spinal cord compression This book is a must-have resource for clinicians, fellows, and residents in neurosurgery and radiation oncology. Spine surgeons, orthopaedists, medical physicists, and oncologists at all levels will also benefit from the wealth of information provided. Endoscopic technology has advanced to the point where practitioners can now access, visualize, and treat spine pathologies previously only accessible through open surgical approaches. Endoscopic Spine Surgery 2nd Edition provides a comprehensive background on endoscopic spine surgery and covers an unparalleled number of minimally invasive spine procedures that have revolutionized the spine treatment paradigm. 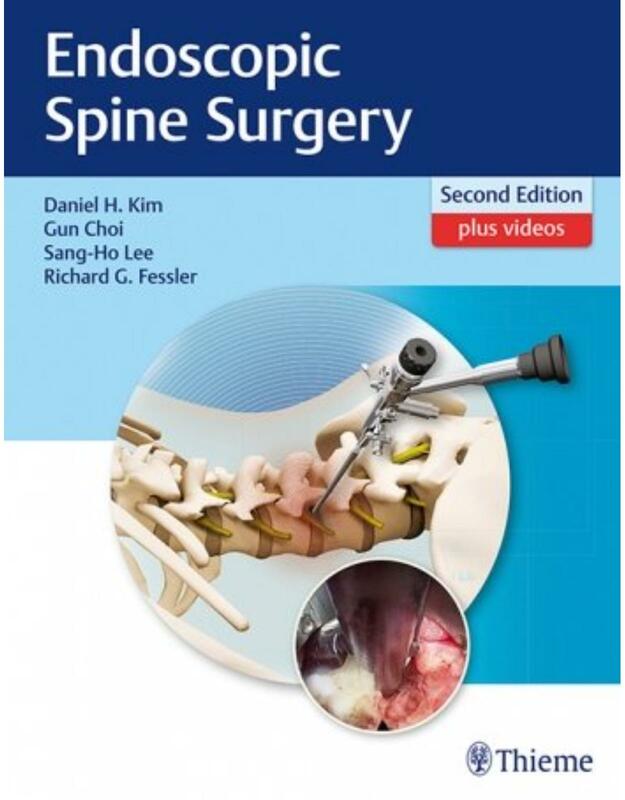 Readers will greatly benefit from many years of expertise and wisdom shared by master spine surgeons Daniel Kim, Gun Choi, Sang-Ho Lee, and Richard Fessler, and their expert contributors. Due to the narrow endoscopic view, subtle microanatomical differences in the lumbar, thoracic, and cervical regions are not always easy to visually discern. To address this challenge, the book contains detailed procedural descriptions and images mirroring endoscopic views spine surgeons encounter in the OR. Organized anatomically, 53 chapters guide readers systematically through lumbar, thoracic, cervical, and craniocervical junction procedures for pathologies ranging from low back pain and deformities to tumors, lesions, infections, and trauma. More than 1000 high quality images including color procedural photographs and medical illustrations provide in-depth visual understanding. Spinal pathologies and procedures delineated in 75 videos accessible via the Media Center - from case studies to step-by-step technique tutorials. Covers the full spectrum of spine endoscopy including percutaneous approaches, microdiscectomy, laminectomy, discectomy foraminotomy, hemilaminectomy, thoracic decompressions, fusion, fixation, and thoracoscopic procedures. The use of state-of-the-art technology such as ultrasonic bone dissectors, endoscopic radiofrequency denervation, the video telescope operating monitor (VITOM), minimally invasive tubular retractors, and 3D stereo-tubular endoscopic systems. Neurosurgical and orthopaedic residents, spine fellows, and seasoned spine surgeons will all greatly benefit from the significant knowledge and insights revealed in this remarkable multimedia resource. This book may also be of interest to neurosurgical and orthopaedic nurses, physical therapists, chiropractors, and medical device professionals. While most spine deformities such as scoliosis, kyphosis, and lordosis are idiopathic, muscular dystrophy, cerebral palsy, spinal cord tumors and lesions are associated with more severe curve progression. Bracing typically does not prevent progression of spinal curves, and surgery is necessary for these patients. Neuromuscular Spine Deformity by Amer F. Samdani et al is the most comprehensive book on this topic to date, detailing the latest surgical techniques for a wide range of common to rare neuromuscular pathologies, in 27 well-illustrated chapters. The comprehensive content derives from the authors' collective years of hands-on expertise, evidence-based knowledge from the literature, and multicenter scoliosis studies performed by the prestigious Harms Study Group, a worldwide research-based association of spine surgeons. The text begins with discussion of preoperative evaluation, nonoperative management, and surgical considerations such as anesthesia, neuromonitoring, and estimated blood loss. Section two highlights pathology-specific surgical interventions, while sections three and four provide clinical pearls on a wide array of surgical techniques, complications, and patient outcomes. This state-of-the-art resource is essential reading for orthopaedic surgeons, neurosurgeons, and trainees in these specialties. It is also a must-have reference for academic programs and institutional departments specializing in pediatric spine pathologies. 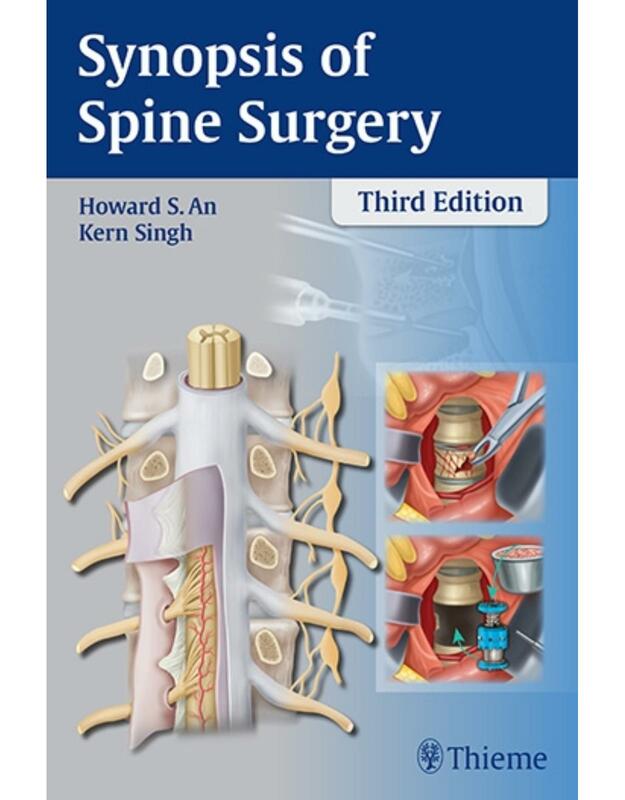 Written by world-renowned masters in spine surgery, this expanded third edition details all the major procedures and newest technical innovations in the field. Experts share clinical pearls gleaned from years of surgical experience and ongoing refinement of techniques. Throughout 21 well organized sections, the essential elements of a full spectrum of cervical, thoracic, lumbar, and sacroiliac joint procedures are distilled into 112 concise, easy to understand chapters. From deformities to spinal tumors, the text facilitates a greater understanding of surgical nuances and potential complications encountered in standard to complex cases. The authors share insights for improving patient safety and outcome such as reducing radiation exposure during fluoroscopy, minimizing intraoperative blood loss, and utilization of the surgical microscope. Updated pain management content encompasses varied strategies including injections, steroids, and nerve blocks. Special Features: More than 400 stunning full color illustrations, diagrams, and photographs replace black and white images from the previous edition Online access to 40 videos in which surgeon-authors share personal tips and demonstrate how to deftly navigate challenging, real life cases. Highlights include up close and personal footage shot in the OR and cadaver simulations Greatly expanded section on minimally invasive technologies covers AxiaLIF, Presacral Interbody Fusion, SI Joint Fusion, and the use of both Robotics and Endoscopy Up to date and comprehensive, this book is an outstanding resource for orthopedic and neurosurgical fellows and residents, as well as clinicians specializing in spine surgery. This book presents and explains the latest developments in surgery for congenital digestive tract malformations, tumors, abdominal trauma, and the most important acquired digestive disorders. Particular attention is paid to minimally invasive and innovative techniques. In addition to clear descriptions of the surgical procedures that highlight useful tips and tricks, for each condition the clinical presentation is well illustrated and information is provided on pathogenesis. The book also includes general chapters that address the anatomy of the abdomen in children, diagnostic issues, the problem of clinical nutrition, and other aspects of management in pediatric patients with gastrointestinal pathologies. 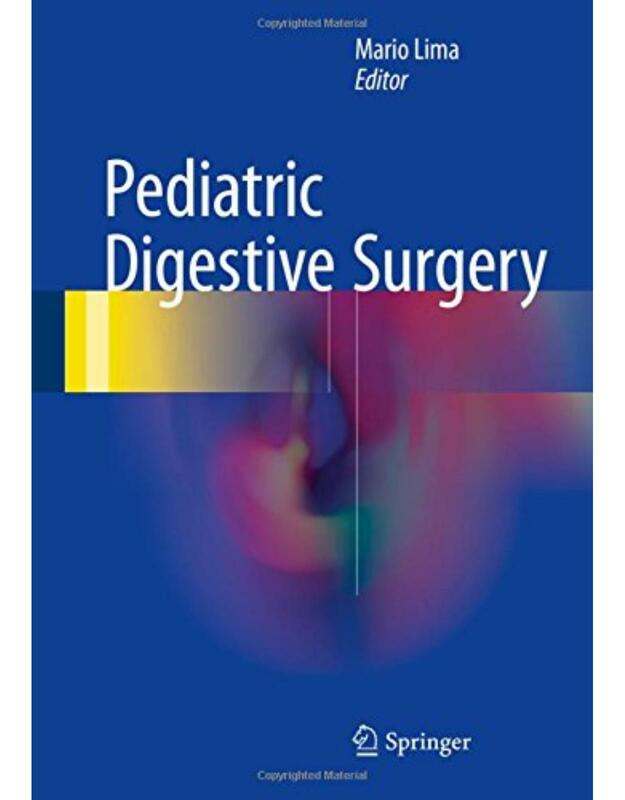 Pediatric Digestive Surgery will serve as a comprehensive and up-to-date reference for all pediatric surgeons. It will provide the trainee with easily understood, concise guidance while offering the more experienced surgeon valuable updates on the latest thinking and practice in the field. Representing the treatment and management philosophy of Dr. Susan Mackinnon, Nerve Surgery provides extensive coverage of innovative surgical options as well as guidance on the management of complicated compression neuropathies. 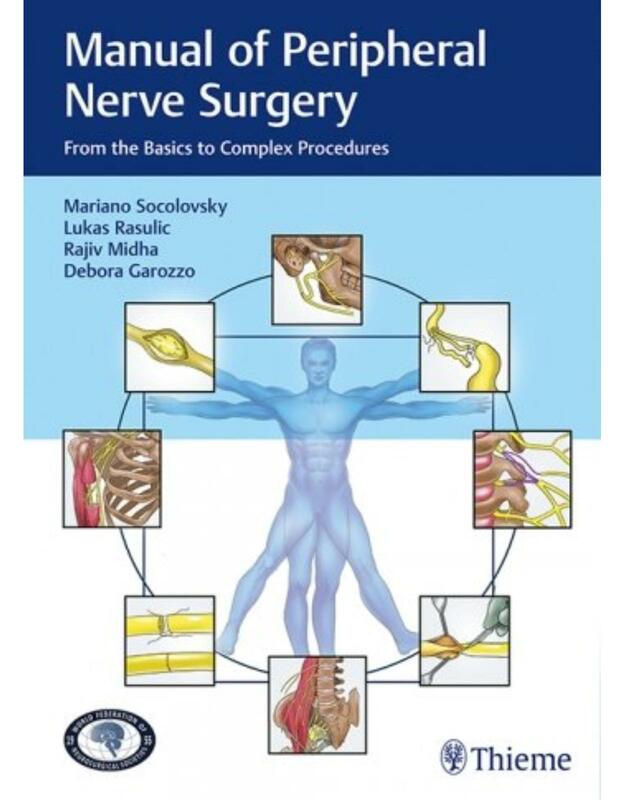 In addition to detailed information on tried-and-true as well as cutting-edge surgical techniques, it contains chapters on the basic principles of nerve surgery, such as Anatomy and Physiology for the Peripheral Nerve Surgeon and Evaluation of the Patient with Nerve Injury or Nerve Compression. This book is a core reference for all plastic surgeons, neurosurgeons, orthopedic surgeons, hand surgeons, residents, and allied health specialists treating patients with nerve injuries. Ideal for neurosurgeons, neurologists, and intensivists, Monitoring in Neurocritical Care helps you use the latest technology to more successfully detect deteriorations in neurological status in the ICU. This neurosurgery reference offers in-depth coverage of state-of-the-art management strategies and techniques so you can effectively monitor your patients and ensure the best outcomes. Features: Understand the scientific basis and rationale of particular monitoring techniques and how they can be used to assess neuro-ICU patients. Make optimal use of the most advanced technology, including transcranial Doppler sonography, transcranial color-coded sonography, measurements of jugular venous oxygen saturation, near-infrared spectroscopy, brain electrical monitoring techniques, and intracerebral microdialysis and techniques based on imaging. Apply multimodal monitoring for a more accurate view of brain function, and utilize the latest computer systems to integrate data at the bedside. Access practical information on basic principles, such as quality assurance, ethics, and ICU design. Seamlessly search the full text of Monitoring in Neurocritical Care online at www.expertconsult.com. A rare form of cancer, chordomas are among the most difficult tumors to treat, requiring highly specialized training and surgical expertise. Although generally slow-growing, chordomas present resection challenges due to their proximity to critical structures including the spinal cord, brainstem, nerves, and arteries. Written by an impressive cadre of internationally-renowned experts, this textbook is the most current, concise, and definitive resource on diagnosis and management of this complex pathology. Acclaimed surgeons from Brazil, Canada, Japan, Turkey, the USA, and the UK are contributors. The book starts with a historical overview, epidemiology, molecular pathogenesis, cytogenetics, local invasion and metastasis, and pathology. A thorough discussion covers diagnostic radiological and radionuclide imaging such as MRI, PET; SPECT, PET-CT, and PET-MRI, and clinical traits of skull base and spinal chordomas as defined by imaging modalities. 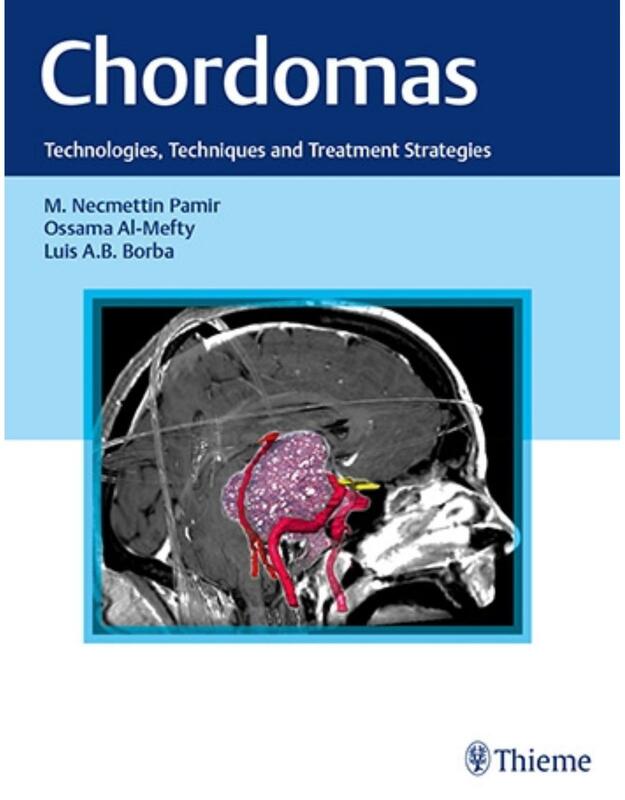 Subsequent chapters explore decision making including selecting the most optimal techniques, surgical procedures, specialized topics, and new horizons in chordoma treatment. This is an essential text for neurosurgeons, orthopedic spine surgeons, otolaryngologists, and radiation oncologists. Read and learn from innovators who have mastered the latest state-of-the-art treatment methodologies for chordomas. Biomechanics of Spine Stabilization, Third Edition, is a comprehensive and highly readable reference that helps spine specialists understand the clinically important biomechanical principles underpinning spinal surgery and instrumentation so that the best clinical decisions can be made for patients. This new edition includes coverage of the latest spine technology that has evolved over the past decade, such as motion preservation technologies and minimally invasive spine surgery. Features: Single-authored text with the consistent, authoritative voice of world-renowned expert Dr. Benzel More than 350 new figures and original line drawings help clarify information in the text Extensive glossary of basic terminology on biomechanics for quick, easy reference More than 400 review questions at the back of the book for help with exam preparation This book is an excellent clinical reference for spine surgeons, residents, and fellows in the fields of orthopedic surgery and neurosurgery, neuroradiologists, and engineers working for spine device companies. Offered in print, online, and downloadable formats, this updated edition of Stroke: Pathophysiology, Diagnosis, and Management delivers convenient access to the latest research findings and management approaches for cerebrovascular disease. Picking up from where J. P. Mohr and colleagues left off, a new team of editors  Drs. Grotta, Albers, Broderick, Kasner, Lo, Mendelow, Sacco, and Wong  head the sixth edition of this classic text, which is authored by the worlds foremost stroke experts. Features: Comprehensive, expert clinical guidance enables you to recognize the clinical manifestations of stroke, use the latest laboratory and imaging studies to arrive at a diagnosis, and generate an effective medical and surgical treatment plan. Abundant full-color CT images and pathology slides help you make efficient and accurate diagnoses. New To This Edition: Data from late-breaking endovascular trials equips you with recent findings. Includes comprehensive coverage of advances in molecular biology of cell death; risk factors and prevention; advances in diagnostics and stroke imaging; and therapeutic options, including a thorough review of thrombolytic agents and emerging data for endovascular therapy. Features brand-new chapters on Intracellular Signaling: Mediators and Protective Responses; The Neurovascular Unit and Responses to Ischemia; Mechanisms of Cerebral Hemorrhage; Stroke Related to Surgery and Other Procedures; Cryptogenic Stroke; and Interventions to Improve Recovery after Stroke. Highlights new information on genetic risk factors; primary prevention of stroke; infectious diseases and stroke; recovery interventions such as robotics, brain stimulation, and telerehabilitation; and trial design. Details advances in diagnostic tests, such as ultrasound, computed tomography (including CT angiography and CT perfusion), MRI (including MR perfusion techniques), and angiography. Includes extracted and highlighted evidence levels. Expert Consult eBook version included with print purchase. This enhanced eBook experience allows you to search all of the text, figures, and references on a variety of devices. The content can also be downloaded to tablets and smart phones for offline use. Developed 20 years ago by leading innovators in the field, the keyhole concept of brain surgery has become an integral part of the practice of neurosurgery. This timely and comprehensive book covers the thinking, philosophy, and techniques of modern keyhole brain surgery, including a realistic assessment of its benefits and limitations. 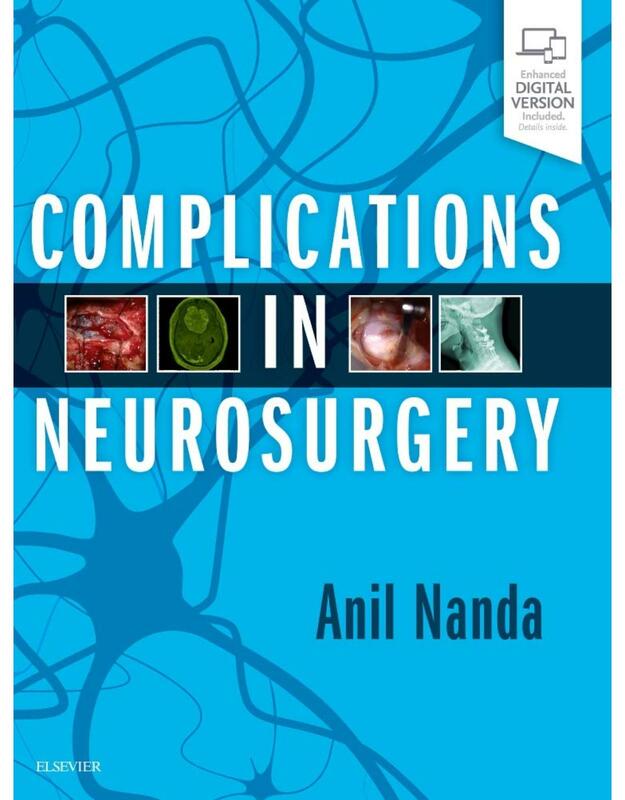 Written by expert practitioners and highlighted by vivid surgical illustrations and procedural videos, Principles and Practice of Keyhole Brain Surgery functions as an experienced mentor working side by side with neurosurgeons as they master the techniques. Principles and Practice of Keyhole Brain Surgery is essential for every neurosurgeon in practice today. 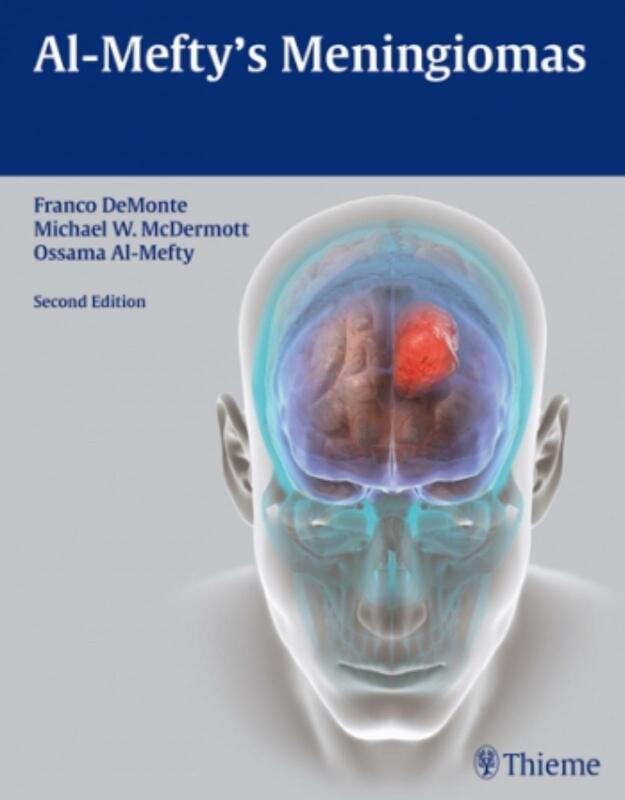 Al-Mefty's Meningiomas, Second Edition is the definitive guide to meningioma diagnosis, treatment, and surgery, and reflects over a decade of major advances in the diagnosis and management of both intracranial and spinal meningiomas since the first edition was published. This landmark reference will enhance the precision and surgical skills of every clinician or resident in neurosurgery or neurology. Pediatric neurosurgery is a uniquely exacting subspecialty in which surgeons are given the extraordinary privilege of alleviating suffering for gravely ill children, and in best-case scenarios, restoring their health. Understanding the vast and complex anatomy, pathology, and pathophysiology that evolves throughout childhood presents considerable challenges. Further, the field is rapidly progressing with advancements in neurodiagnostic imaging and surgical instrumentation, as well as an expanding knowledge of the molecular and genetic bases underlying many neurosurgical disorders. While this book's primary focus is on how to achieve technical excellence in the OR, this is a remarkably personal book about the art of pediatric neurosurgery. In it you will find wisdom gained from decades of experience. Read this book, use the knowledge you gain from it, and you will become a safer, more skillful neurosurgeon. Special Features: * More than 800 stunning, full-color illustrations * Online access to videos in which experts from all over the world demonstrate the operative nuances and techniques that help surgeons get patients safely in and out of the OR * Written by master surgeons from 10 countries who share a wealth of insightful wisdom garnered from years of experience, refinement of surgical techniques, and development of numerous innovations * Surgical pearls, operative nuances, procedural modifications, and techniques for avoiding and dealing with pitfalls This state-of-the-art volume is an unparalleled teaching tool that reveals invaluable tricks of the trade. It is an essential resource for pediatric and general neurosurgeons, neurosurgery residents and fellows. 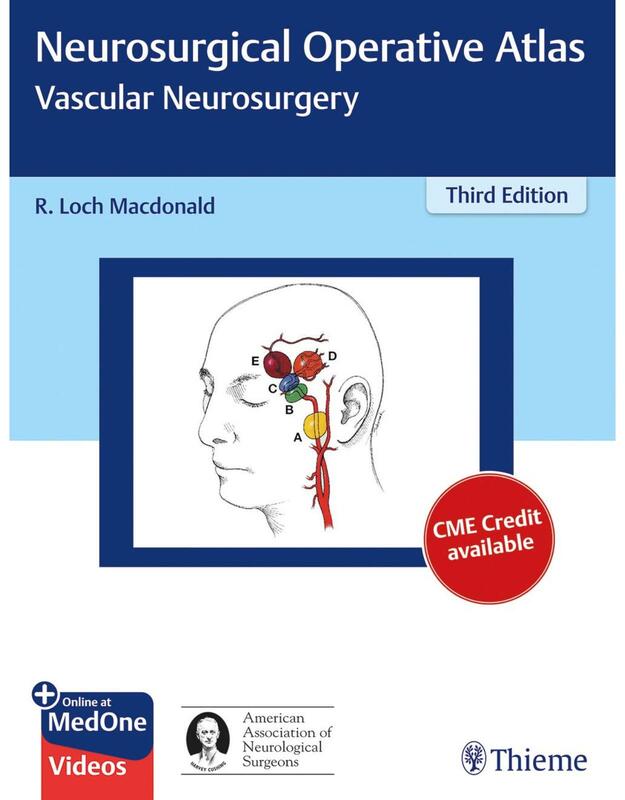 Neurosurgical Operative Atlas: Vascular Neurosurgery, Third Edition, by R. Loch Macdonald and expert contributors, reflects the latest advances in endoscopic, endovascular, microsurgical, and bypass techniques used in the treatment of cerebrovascular disease. The entire atlas has been streamlined and updated with new content, including 38 videos that complement the concise step-by-step guidance in the text. 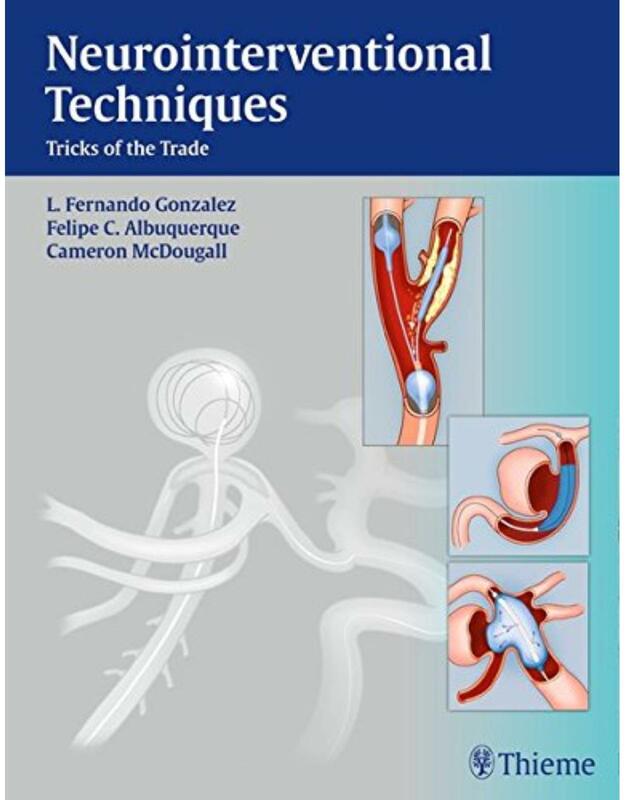 The book begins with five chapters on vascular and microsurgical instrumentation and equipment, clipping versus coiling, aneurysm surgery techniques, the pterional approach, and minimally invasive approaches. Disease and procedure-specific chapters are organized by three sections: aneurysms and subarachnoid hemorrhage, vascular malformations, and ischemic and other cerebrovascular disease. Every chapter includes salient tips on patient selection and procedural indications, preoperative information and tests, patient positioning, operative nuances, and postoperative complications. Neurosurgical residents will benefit from the firsthand knowledge shared by international masters, while veteran neurosurgeons will glean invaluable insights on cutting-edge endovascular techniques to enhance clinical practice. Dynamic Reconstruction of the Spine, Second Edition , is the most up-to-date resource on the instrumentation, technologies, and fundamental science integral to achieving spine motion preservation and stabilization. 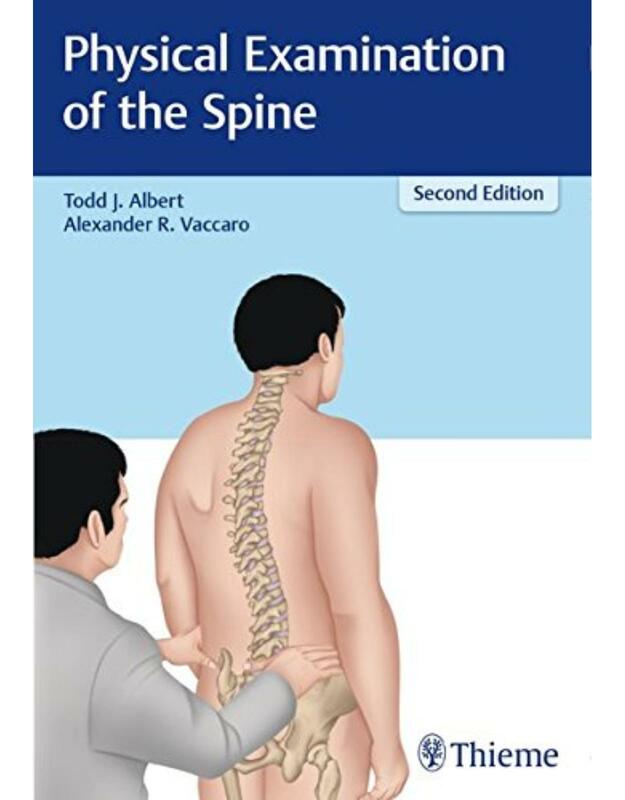 It is a completely revised text that includes not only the latest technologies and surgical approaches, including MIS techniques, but also significantly more detail on the clinical biomechanics of the spine than the previous edition. Readers will appreciate the guidance this book provides on how to: successfully adopt new technology, find appropriate indications, address common safety and efficacy issues, and answer health economics questions for ethics committees and payers. Key Features: A substantial revision, with entirely new chapters in three quarters of the book, including a large section on basic as well as more advanced biomechanics topics Highly visual - contains 20% more figures than the previous edition Discusses and explains current advances in genetic and molecular technologies used to repair the spinal disc Includes an unbiased critique of the pro cons, clinical outcomes, and comparative outcomes of different devices. 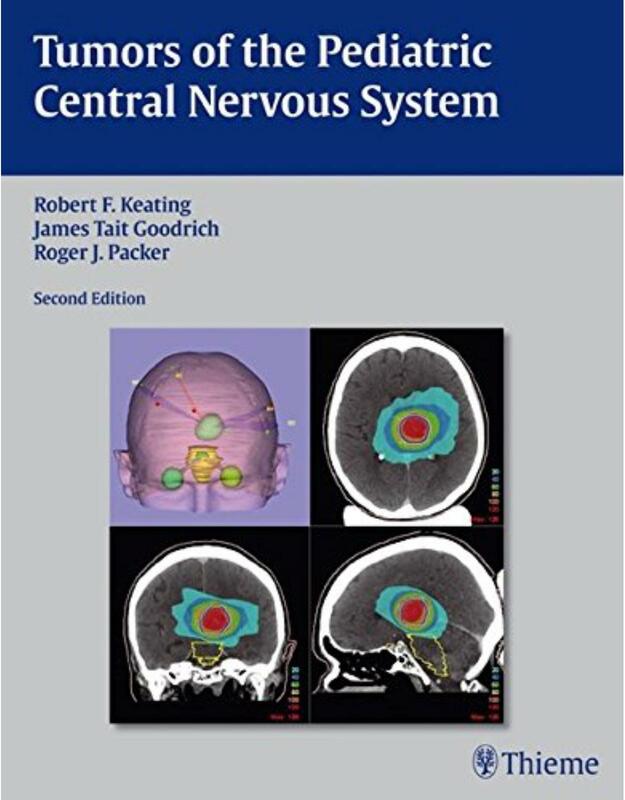 Tumors of the Pediatric Central Nervous System, Second Edition, provides readers with both medical management and surgical perspectives on the clinical, pathological, and radiological diagnoses and treatment of pediatric CNS tumors. It includes complete coverage of the latest diagnostic and management techniques, state-of-the-art technologies, and trends in the surgical treatment of pediatric tumors. Neurosurgeons, neurologists, oncologists, radiation oncologists, and pediatricians caring for patients with tumors of the central nervous system will find this book to be an essential resource that they will repeatedly consult as they strive to enhance patient care. 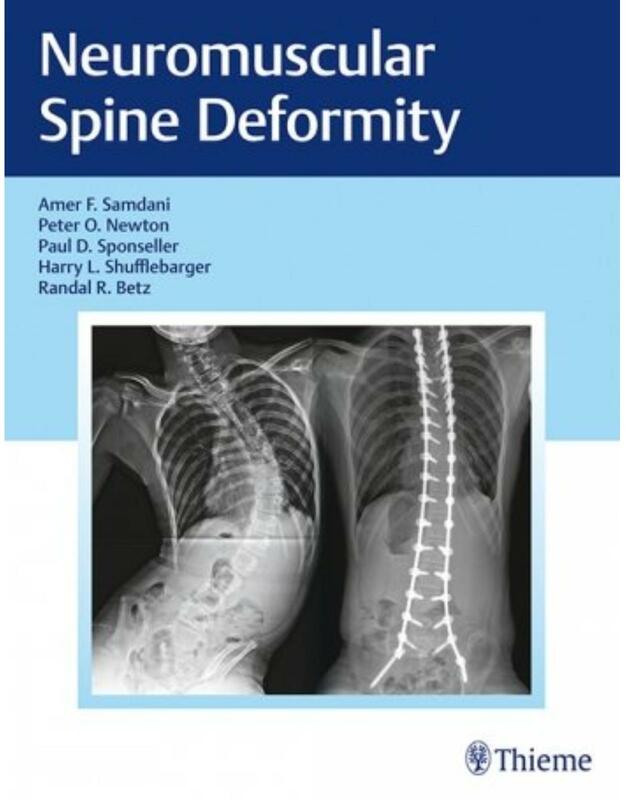 Authored by two world-renowned pioneers in the field of spinal surgery, Modern Management of Spinal Deformities: A Theoretical, Practical, and Evidence-Based Text covers the range of spinal deformities-emphasizing scoliosis-and their etiologies, including idiopathic, congenital, neuromuscular, tumors, neurofibromatosis, and more. All too often in other works, too much attention has been focused on how to put in metalwork, without sufficiently discussing the what, when, and why. Authors Dickson and Harms provide a wealth of knowledge through experience that shows how important newer therapeutic concepts and surgical methods are, such that beyond just preventing the progression of deformity, it is now possible, with correctly performed surgery, to eliminate deformity and straighten spines permanently. Spine surgeons, whether orthopaedically or neurosurgically trained, will value this authoritative treatise on spinal deformities. A state-of-the-art guide to evolving functional neurosurgery approaches from world-renowned innovators Functional neurosurgery focuses on improving the lives of patients with epilepsy, movement disorders, pain, and psychiatric illnesses. In recent years, approaches ranging from open surgery to minimally invasive techniques have been leveraged to improve daily functioning and quality of life in people struggling with painful, highly disruptive, and/or treatment-resistant symptoms. These approaches focus on reducing or eliminating seizures, alleviating pain, decreasing abnormal movements or lessening debilitating symptoms associated with specific psychiatric disorders. 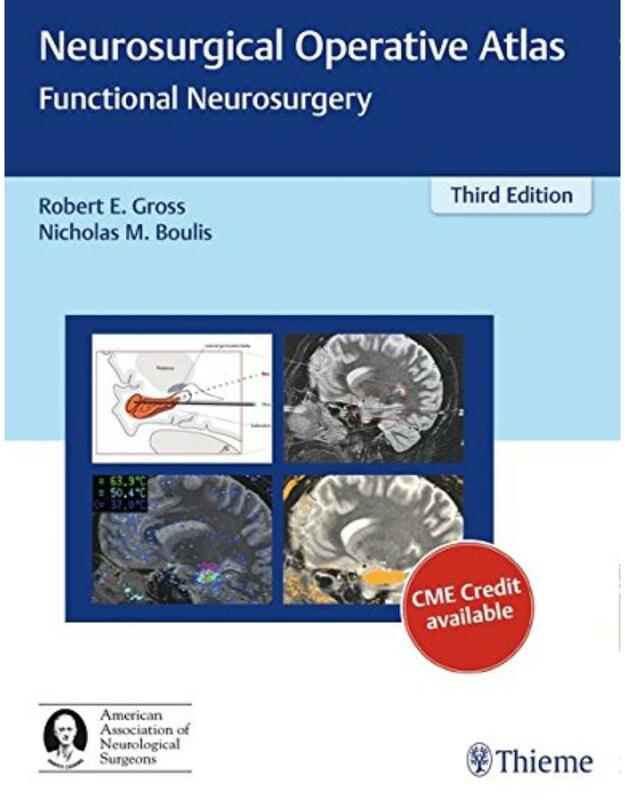 Neurosurgical Operative Atlas: Functional Neurosurgery, Third Edition, by renowned functional neurosurgeons Robert Gross, Nicholas Boulis, and esteemed contributors reflects the latest advances in functional and stereotactic neurosurgical approaches. The entire atlas has been streamlined and updated with new content, including the use of stereotactic surgery to treat obsessive compulsive disorder, Tourette syndrome, and major depression. 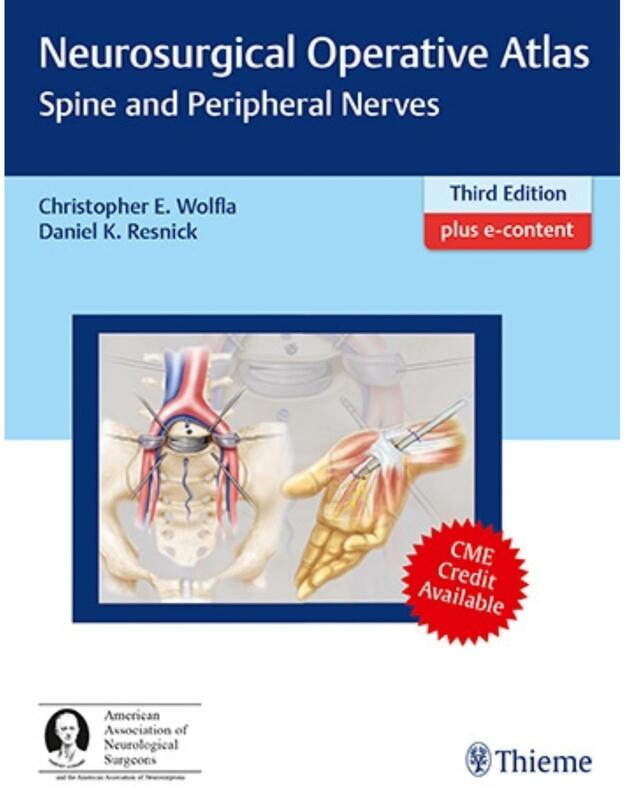 Written by a Who's Who of renowned spine surgeons, the third edition of Neurosurgical Atlas: Spine and Peripheral Nerves provides a detailed tutorial on the latest surgical procedures. The three comprehensive spine sections cover decompression modalities followed by fusion/instrumentation and fixation. Rounding out these sections are special topics such as vascular malformations in the spinal cord, stereotactic radiosurgery in the thoracic spine, and lumboperitoneal shunting. The peripheral nerves section includes treatment of conditions including carpal tunnel, brachial plexus, meralgia paresthetica, and cervical nerve root avulsion. Thoracic spine techniques for burst fractures, vertebral body metastasis, penetrating spine wounds, tumors, etc. This book is a must-have reference for neurosurgery residents seeking in-depth knowledge of spine and peripheral nerve procedures prior to scheduled cases. It will also benefit veteran neurosurgeons looking for clinical insights on infrequently performed surgeries. Masterful 2D and 3D head, neck, and brain dissections provide unsurpassed insights into head, neck, and brain anatomy An internationally renowned and beloved author, educator, brain anatomist, and neurosurgeon, Professor Albert Rhoton has a special place in medical history. He was revered by students and colleagues and is regarded as one of the fathers of modern microscopic neurosurgery. A driving principle in his anatomy lab was the simple phrase, 'Every Second.' This was embraced in his philosophy that every second of every day, a patient's life was improved by a surgeon assisted by the anatomic knowledge his lab helped elucidate and distribute. Rhoton's Atlas of Head, Neck, and Brain is the visually exquisite crowning achievement of Dr. Rhoton's brilliant career and unwavering dedication to the intertwined pursuits of surgical anatomy and neurosurgery. The atlas reflects the unparalleled contributions Dr. Rhoton made to the contemporary understanding of neurosurgical anatomy. Dr. Peris-Celda, with the collaboration of an impressive cadre of international multidisciplinary experts, worked closely under Dr. Rhoton's tutelage on this project. This book is the culmination of 5 years of work and experience gleaned from more than 40 years of surgical anatomy research and exquisite dissection techniques performed in Dr. Rhoton's laboratory. * Each anatomic dissection meticulously labelled with English and Latin descriptors for easy cross referencing with other resources. * Multiple views of the most complex regions of the head, neck, and brain provide a deeper understanding of anatomy. * More than 600 anatomical images systematically organized in four major sections: Osteology of the Head and Neck; Face and Neck; Ear, Nose, Pharynx, Larynx, and Orbit; and Neuroanatomy and Cranial Base. * Superb 2D images presented in a large printed format to optimize the viewing experience. * 3D digital images fully realize the beauty of the dissections and enhance the learning process. * Specimens injected with coloured silicone provide better visualization of arteries and veins. Breathtakingly stunning, this atlas is certain to be a treasured reference for medical students, residents, and clinicians specializing in neurosurgery, facial plastic surgery, otolaryngology, maxillofacial surgery, and craniofacial surgery for many years to come. 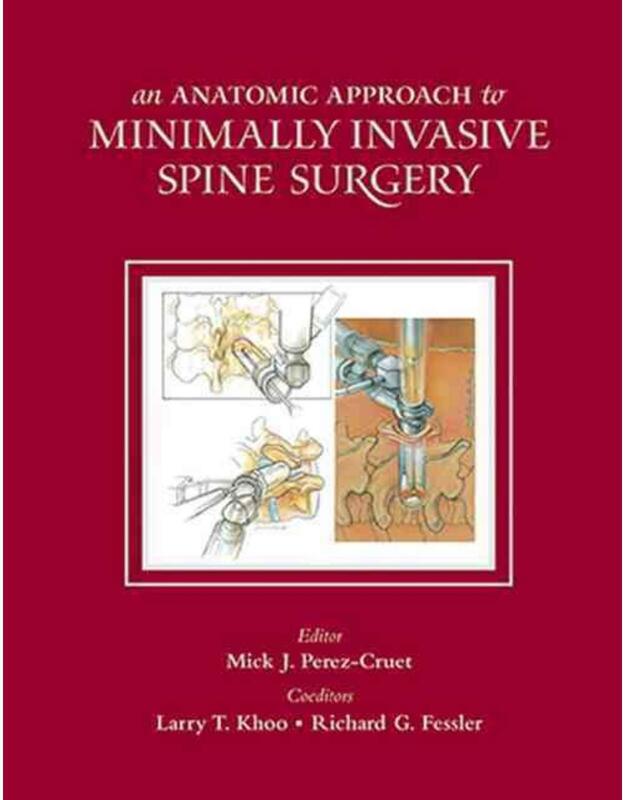 The new edition of this book continues to offer an anatomically oriented presentation in minimally invasive surgery for the cervical, thoracic, and lumbar spine. Each chapter balances clinical anatomy with specific surgical applications. Procedures are described in precise step-by-step fashion and accompanied by detailed color illustrations and intraoperative images that highlight key steps for performing these techniques safely and effectively. Preoperative and postoperative images demonstrate possible results that can be achieved. 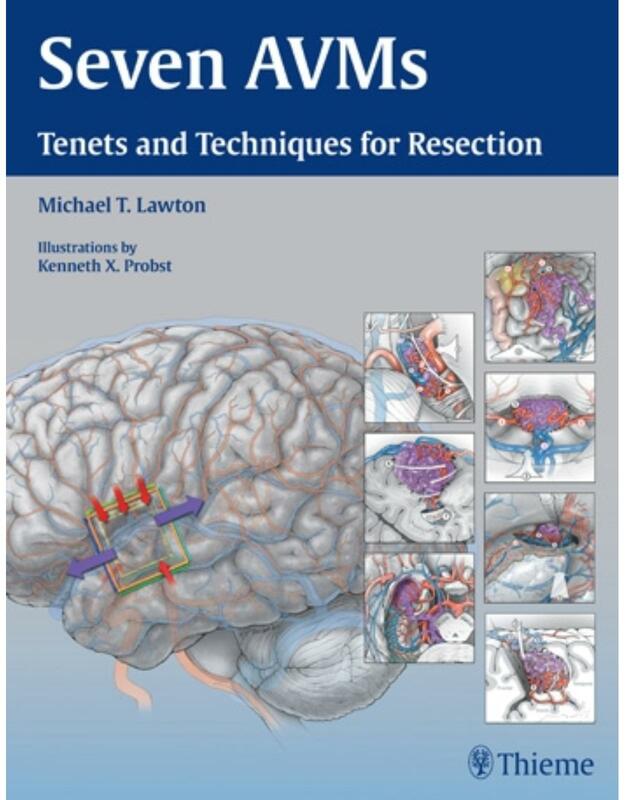 Seven Bypasses: Tenets and Techniques for Revascularization is the third book in a trilogy of bravura, technical nuance, and strategy by master neurosurgeon Michael Lawton. Like his first two books on aneurysms and AVMs, Seven Bypasses provides unparalleled firsthand insights and guidance on complex pathologies in vascular neurosurgery. The fundamentals of microsurgical anastomosis and the craft of bypass surgery are explored in depth with clinical pearls in every chapter. Lawton eloquently reveals the art of cerebral revascularization in exquisite, metaphorical detail. The surgeon performing bypass surgery is like an architect envisioning and building a beautiful structure. A bypass is designed to fit the patient's unique anatomy; blueprints designate anastomotic sites, connections, and conduits; the anastomoses are constructed; and the bypass is brought to life with pulsations, flow, and reperfusion. The book highlights Lawton's aesthetic, which has evolved from the common STA-MCA bypasses to IC-IC bypasses and elaborate arterial reconstructions. Dr. Lawton has bequeathed a remarkable treasure of knowledge to current and future generations of neurosurgeons and their patients. The Seven series is destined to be an enduring classic for residents, fellows, and neurosurgeons specializing in the treatment of cerebrovascular disease, and for those who believe that manual dexterity and technical skill still matter. Michael T. Lawton, MD, is Chairman, Department of Neurological Surgery; Professor of Neurological Surgery; President and Chief Executive Officer, Barrow Neurological Institute; Chief of Vascular and Skull Base Neurosurgery Programs; and Robert F. Spetzler Endowed Chair in Neurosciences, Barrow Neurological Institute and St. Joseph's Hospital and Medical Center, Phoenix, Arizona, USA. 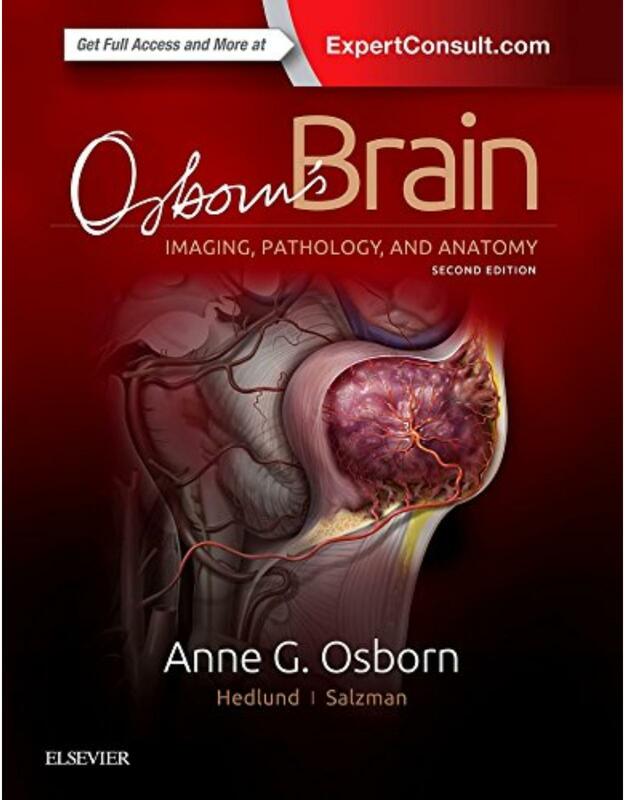 Comprehensive, visually appealing, and easy to understand, Osborns Brain, second edition, by the highly esteemed Dr. Anne G. Osborn, provides a solid framework for understanding the complex subject of brain imaging when studied cover to cover. Almost completely rewritten and featuring 75% new illustrations, it combines essential anatomy with gross pathology and imaging, clearly demonstrating why and how diseases appear the way they do. The most immediate emergent diagnostic topics are followed by nonemergent pathologies, integrating the most relevant information from Dr. Osborns entire career of accumulated knowledge, experience, and interest in neuropathology, neurosurgery, and clinical neurosciences. Expert Consult eBook version included with purchase. This enhanced eBook experience allows you to search all of the text, figures, Q&As, and references from the book on a variety of devices. Written by 21st Century pioneers in the field, this second, cutting-edge edition offers the latest science throughout 1,400 pages and a remarkable video library covering anatomy, diagnosis, epidemiology, history, treatment indications, technical nuances, outcomes, and complications. Internationally renowned experts from across the globe share clinical pearls and best practices,from the research lab to the ER to the OR. Medical, surgical, endovascular, cerebral revascularization, bypass surgery, radiation therapy, and other procedures are covered in depth. Evidence-based and transdisciplinary, the second edition covers the full spectrum of neurovascular pathologies,preoperatively and postoperatively,including: Ischemic Stroke and Vascular Insufficiency Cerebral and Spinal Aneurysms Cerebral and Spinal Arteriovenous Fistulae and Malformations Vascular Tumors Carotid Artery Disease Moya-Moya Disease Revascularization techniques Organized into 11 primary sections, 99 richly illustrated chapters, and more than 140 videos, this volume is an invaluable, one-stop reference tool. It is a must-have for general, vascular and endovascular neurosurgeons; interventional radiologists; neurologists; critical care practitioners; and neuro-rehabilitation specialists. Originally published in 2006, the second edition of this award-winning neurosurgical atlas is written by a notable cadre of world-renowned spine surgeons. Reflecting the enormous depth and breadth of spine surgery, this volume has been completely updated with current, state-of-the-art surgical methodologies and minimally invasive options. Pathologies include degenerative changes, congenital abnormalities, rheumatic diseases, tumors, and trauma. The authors have divided the book into six consistent sections: occipital-cervical, midcervical spine, cervicothoracic junction, thoracic and thoracolumbar spine, lumbar and lumbosacral spine, and peripheral nerve. Within each section, the opening chapters cover comprehensive discussion of pathology, etiology, and differential diagnosis. Succeeding chapters present step-by-step surgical techniques encompassing anterior, anterolateral, posterior, and posterolateral approaches, separately and in sequence. Minimally invasive techniques and peripheral nerve procedures, including the brachial plexus, lumbosacral plexus, and individual nerves are covered independently, following the same organization. This book is an incomparable learning tool for residents, who will likely read it several times during the course of residency. A precisely edited, didactic atlas, neurosurgeons and orthopaedic surgeons will also find it an invaluable resource. Now in two volumes - an updated atlas to help you manage diseases and disorders of the brain This thoroughly revised and expanded atlas is the ideal reference for residents, fellows, and clinicians to review surgical procedures before entering the OR. 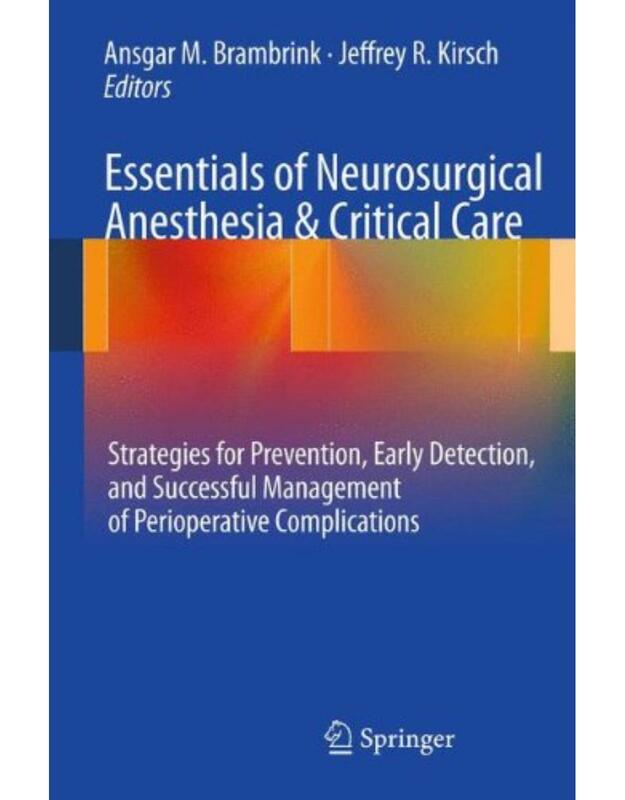 The authors provide step-by-step descriptions of techniques, clearly delineating indications and contraindications, goals, operative preparation and anesthesia, and postoperative management. 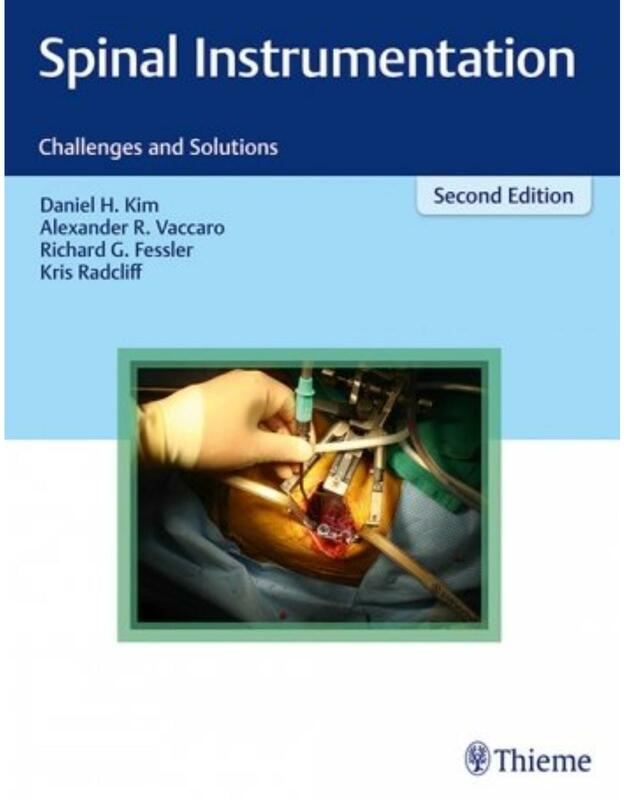 The main focus of this book is on teaching neurosurgical techniques at the most detailed level. Features of the second edition: A new chapter on proton therapy An expanded section covering the latest radiosurgery techniques Nearly 3,000 high-quality images aid rapid comprehension of surgical procedures Online access to more than 100 surgical technique videos This book should be read cover to cover by young practitioners several times during their residency and it will keep more experienced neurosurgeons up-to-date on the latest surgical techniques in the field. 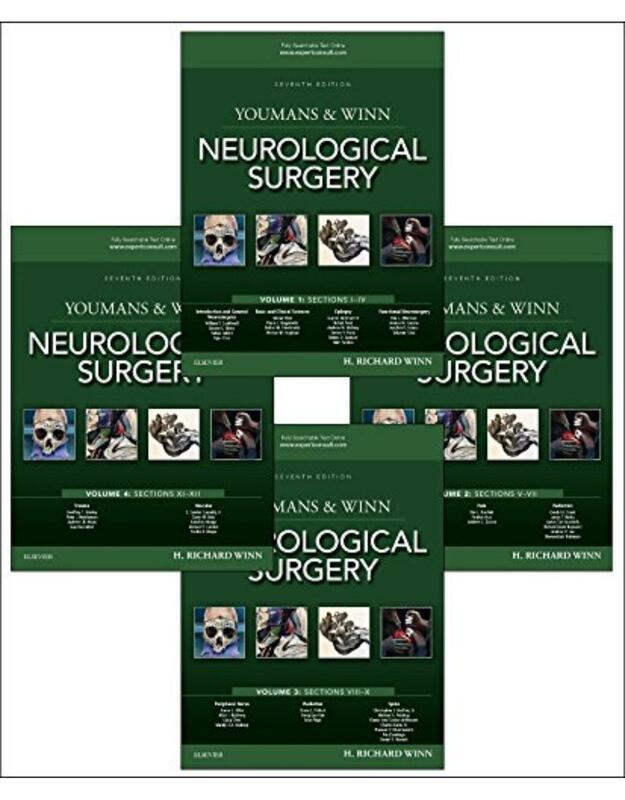 Dramatically updated to reflect recent advances in the basic and clinical neurosciences, Youmans and Winn Neurological Surgery, 7th Edition remains your reference of choice for authoritative guidance on surgery of the nervous system. 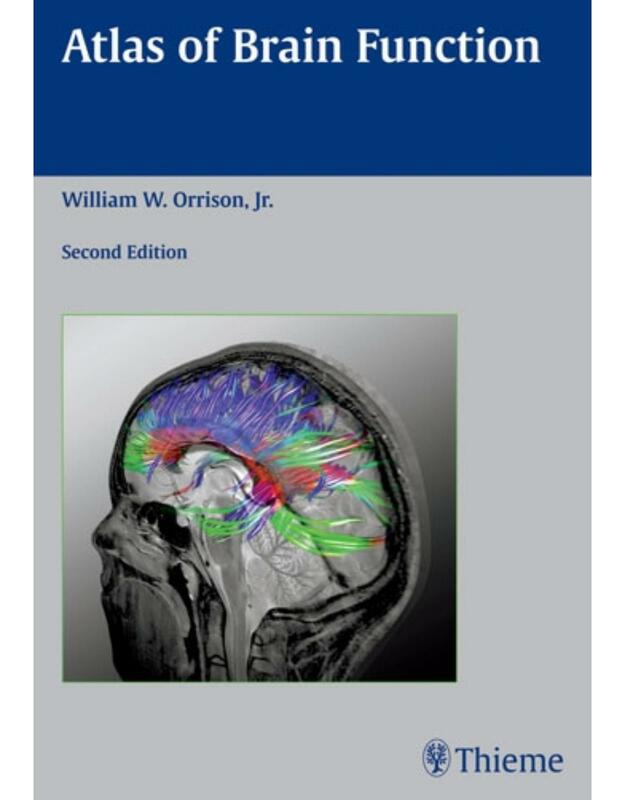 Four comprehensive volumes thoroughly cover all you need to know about functional and restorative neurosurgery, (FRN)/deep brain stimulation (DBS), stem cell biology, radiological and nuclear imaging, and neuro-oncology, as well as minimally-invasive surgeries in spine and peripheral nerve surgery, endoscopic and other approaches for cranial procedures and cerebrovascular diseases. Seventy new chapters, an expanded video library, and revised content throughout help you master new procedures, new technologies, and essential anatomic knowledge. This unparalleled multimedia resource covers the entire specialty with the unquestioned guidance you’ve come to expect from the "Bible of neurological surgery."